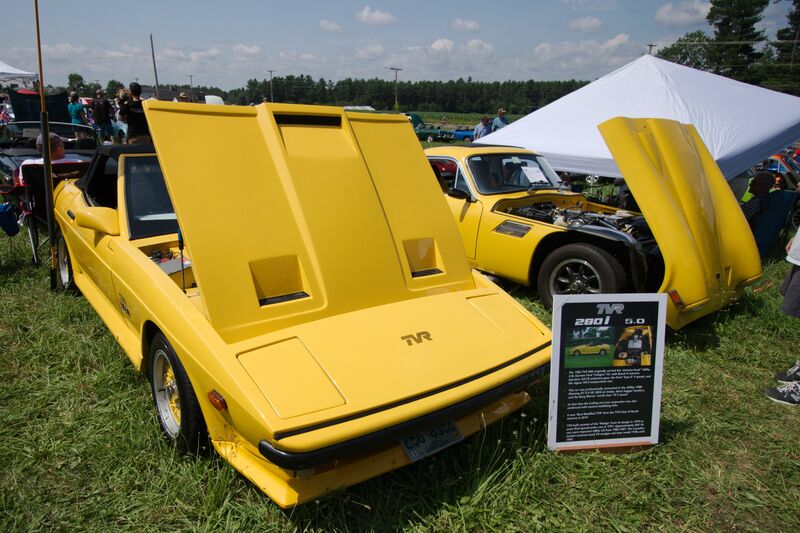 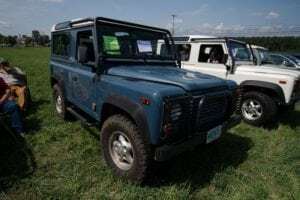 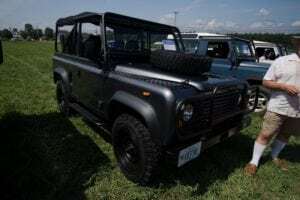 British Cars of NH 2018 Show of Dreams Was HOT! 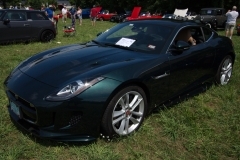 I did not bring the Vette for this event. 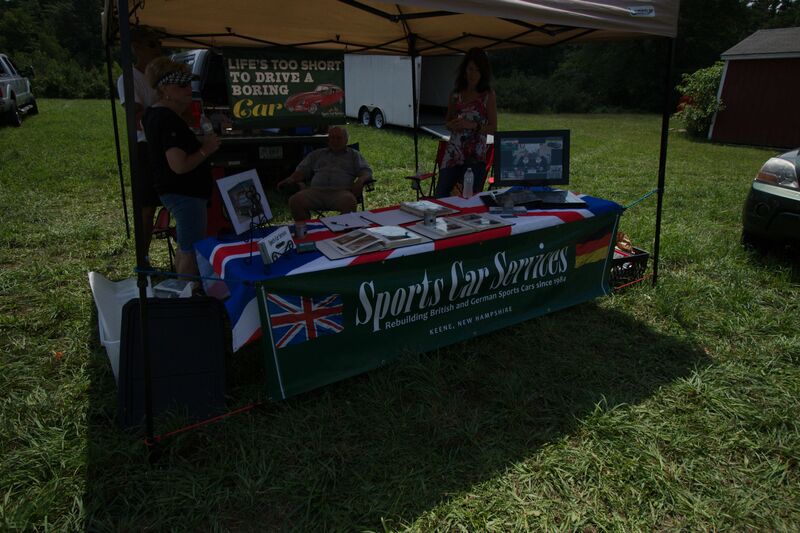 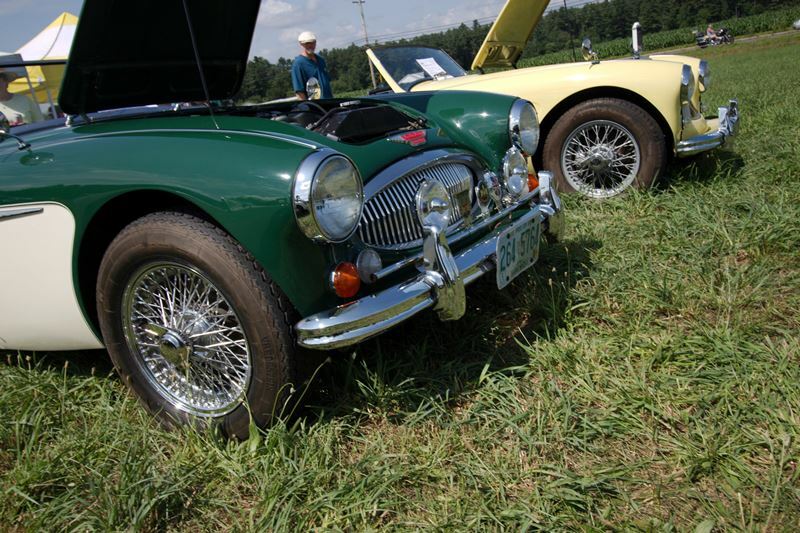 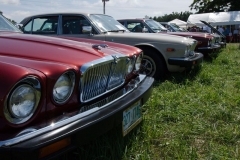 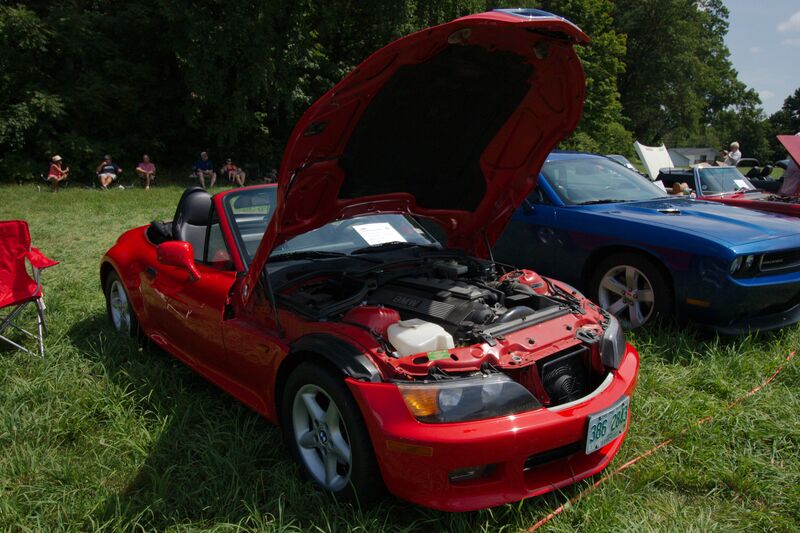 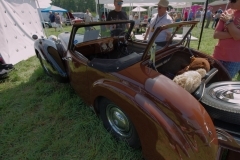 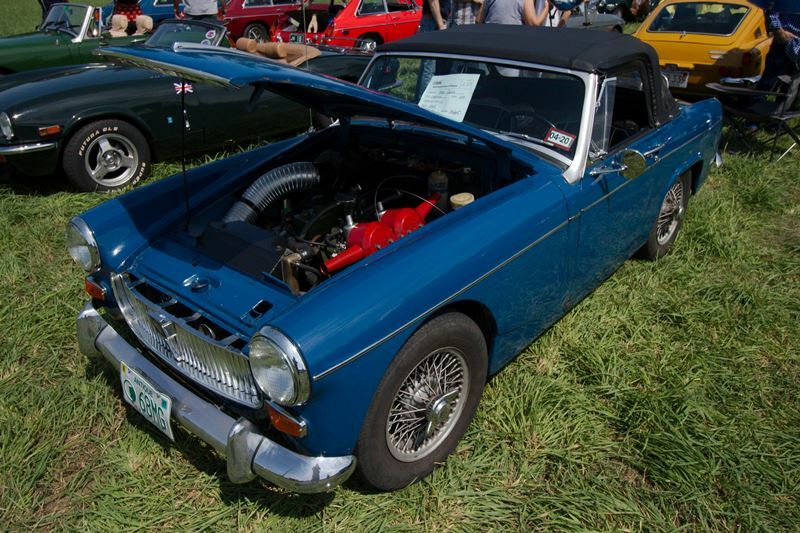 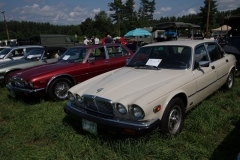 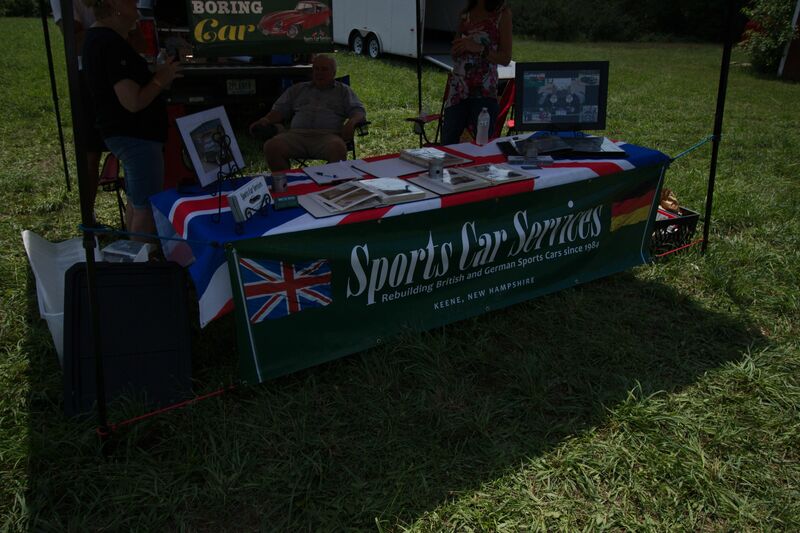 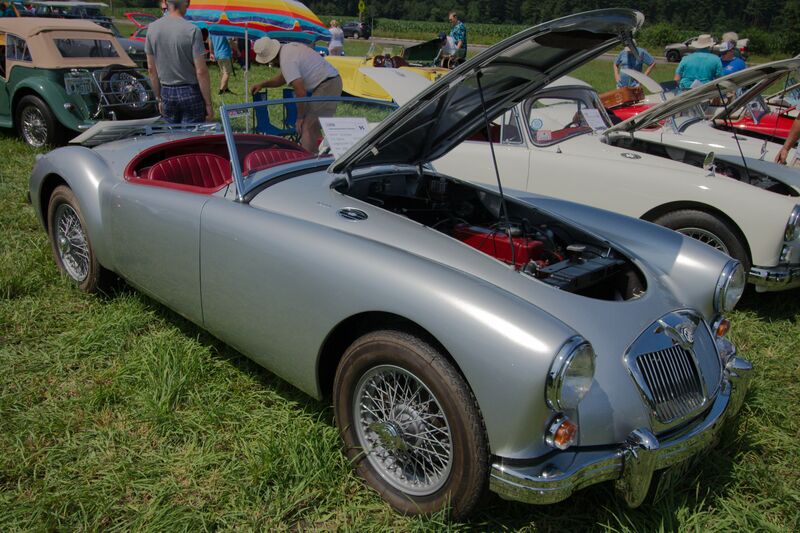 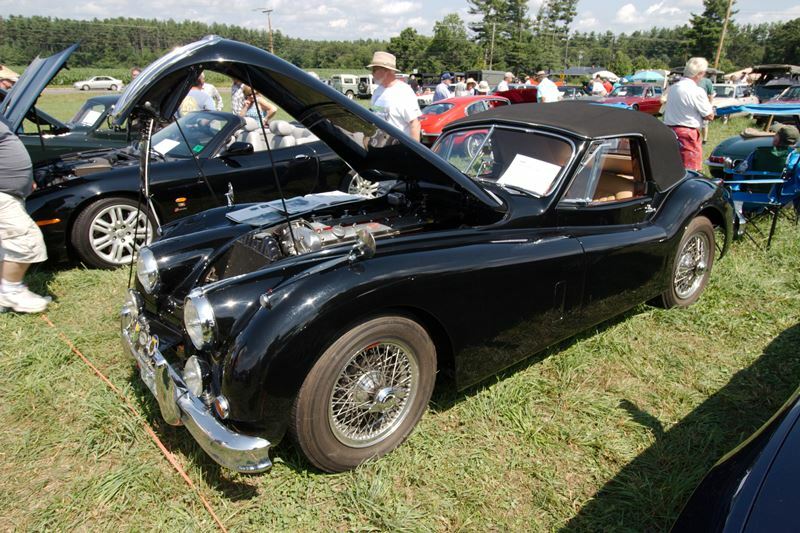 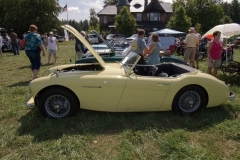 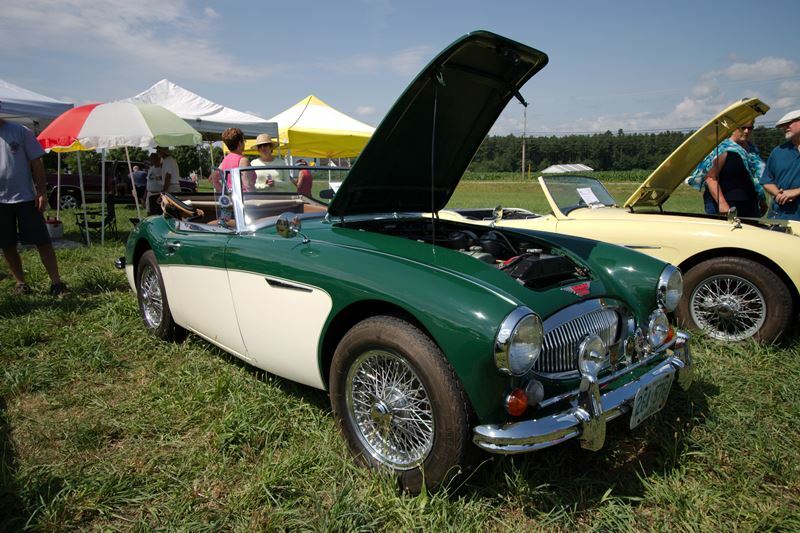 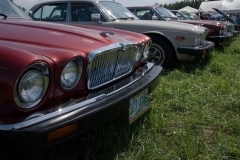 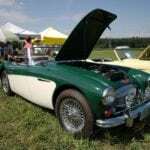 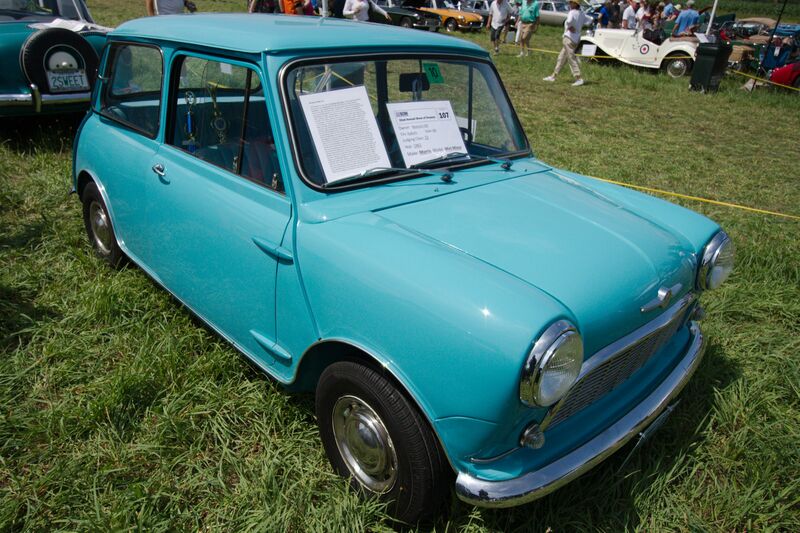 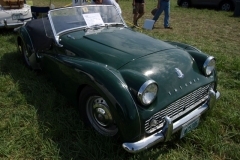 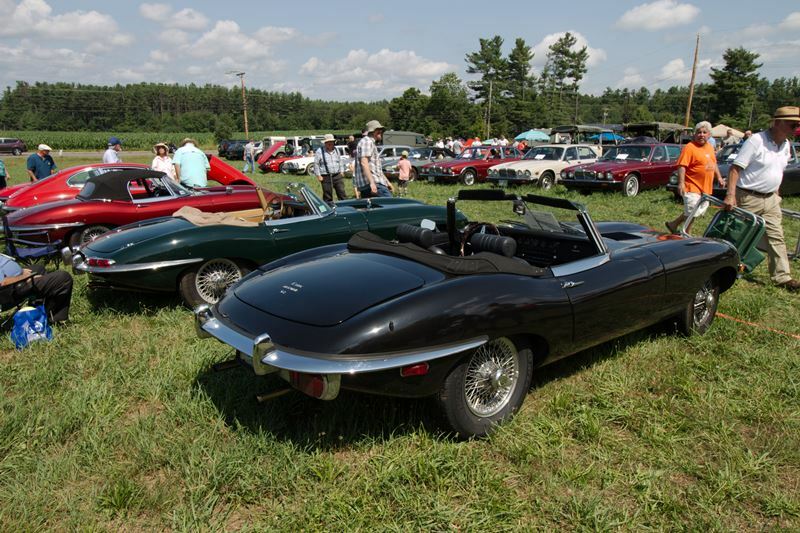 Traditionally the Annual British Cars of NH “Show of Dreams” show has always been a British Car only Show. 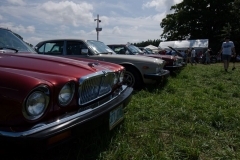 and while traditionally they have 150-200+ British vehicles show up, they decide this year to open it up to all vehicles. 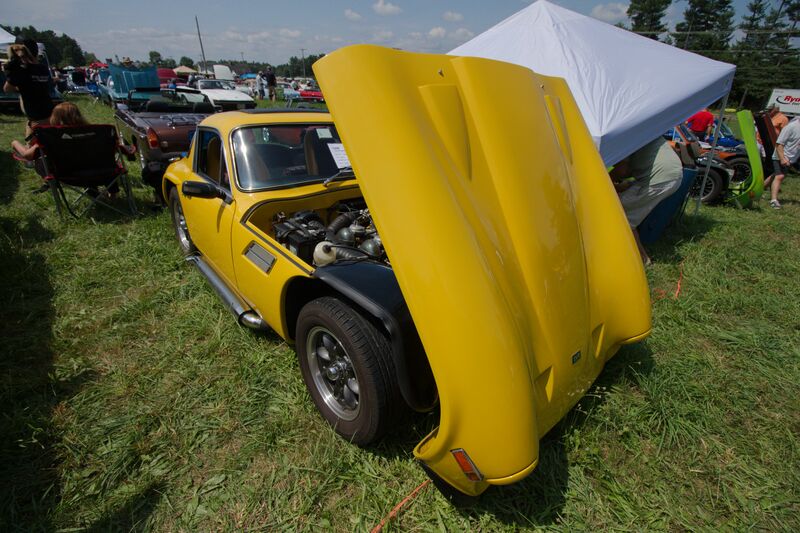 Unfortunately, the Vette has developed an Oil leak that in “Hot weather” gets even worse and by 10 AM it was well over 80 degrees and Humid. 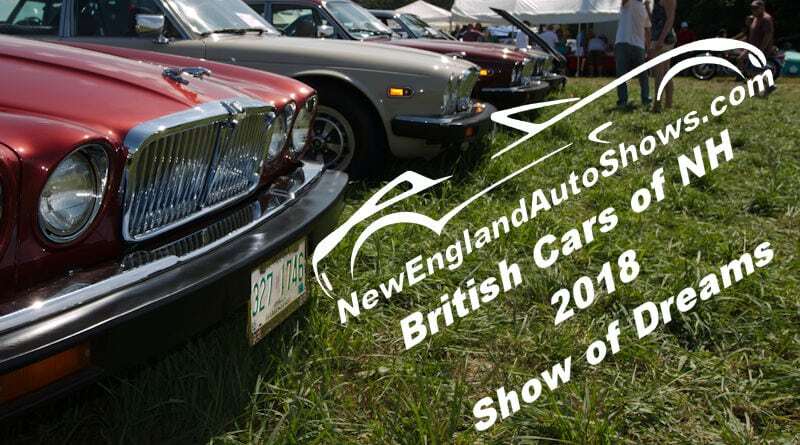 If you are British Car Nut this really is the “Show of Dreams.” When my wife and I first got married, I remember attending the BCNH’s Shows they used to have at the High Hopes Balloon festival. 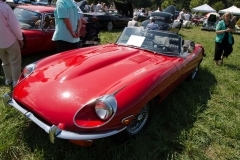 BCNH was formed in 1991 but it was not until 1996? 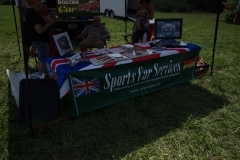 that they started having their own dedicated shows and thus, they began an annual event to show their cars. 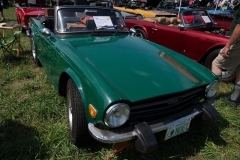 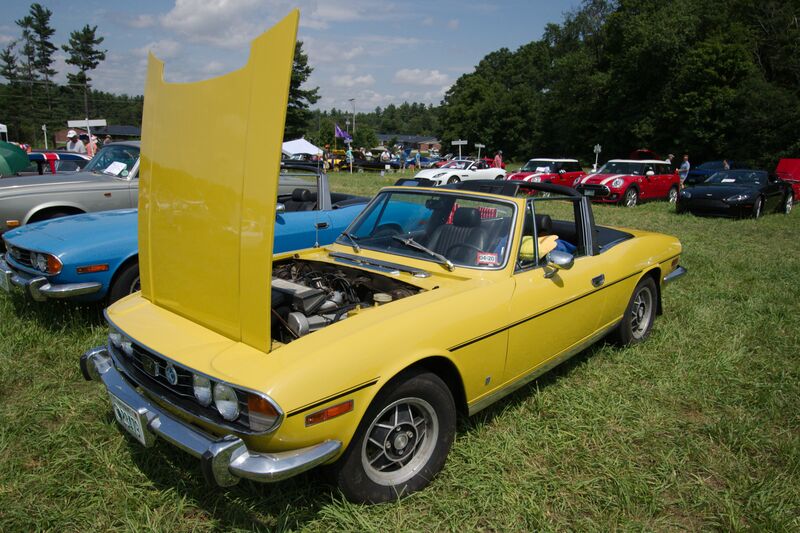 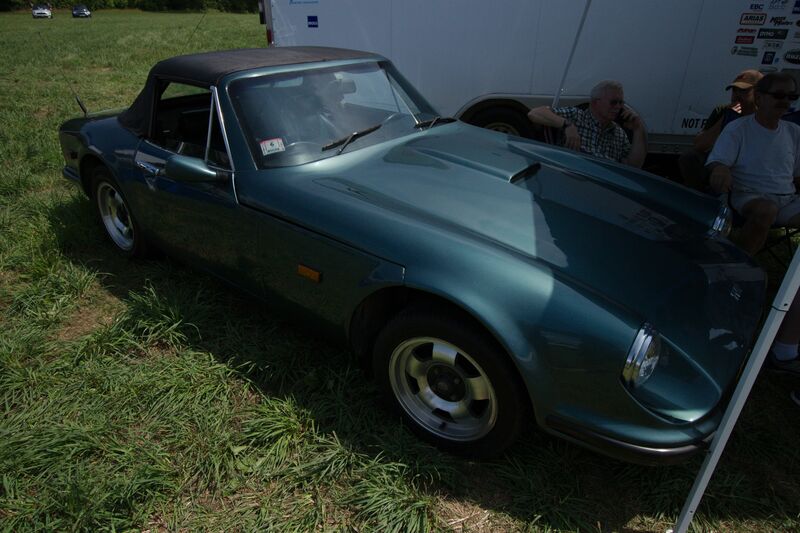 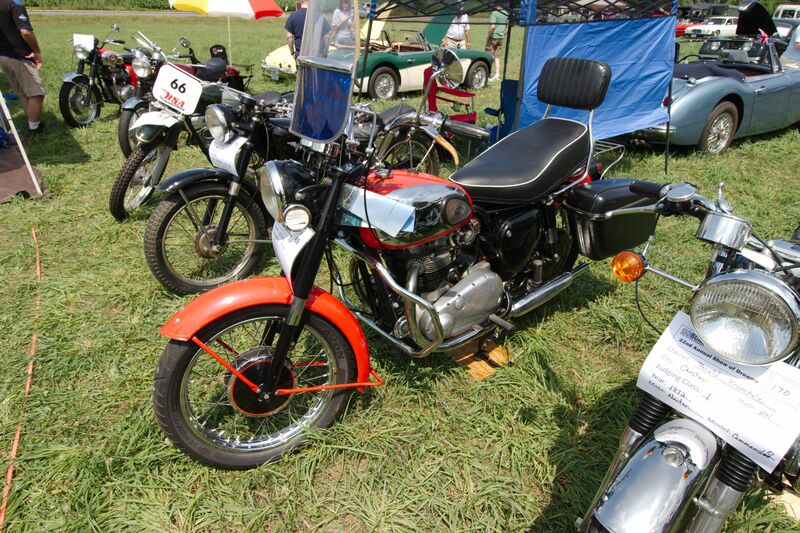 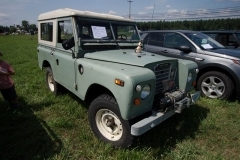 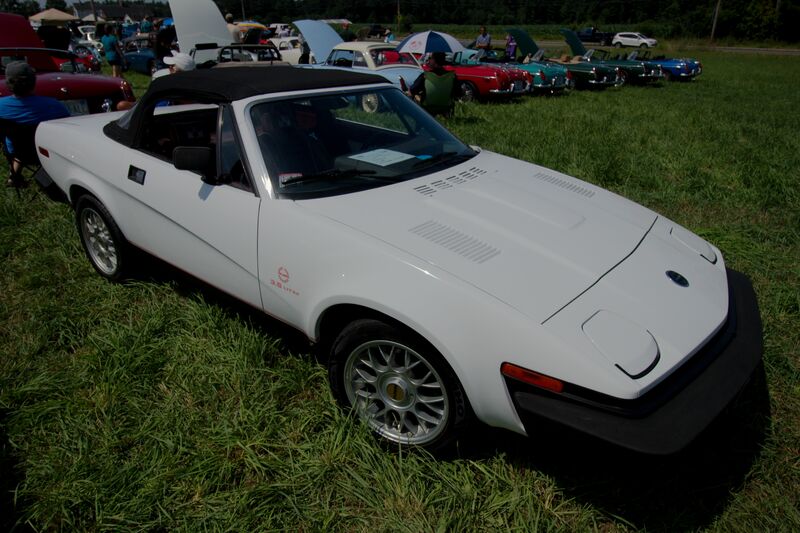 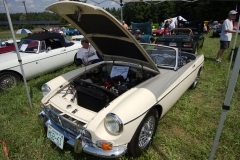 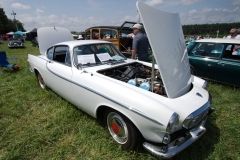 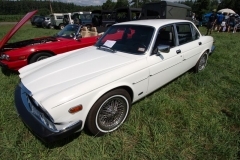 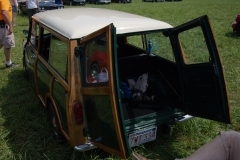 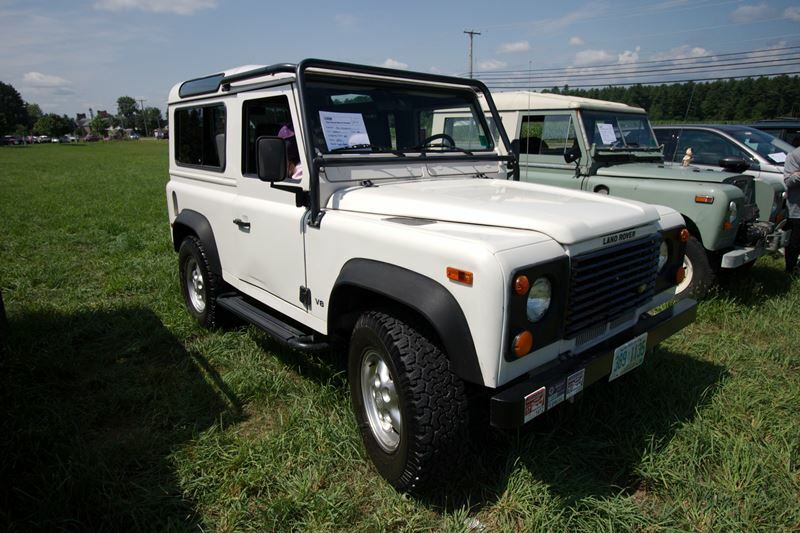 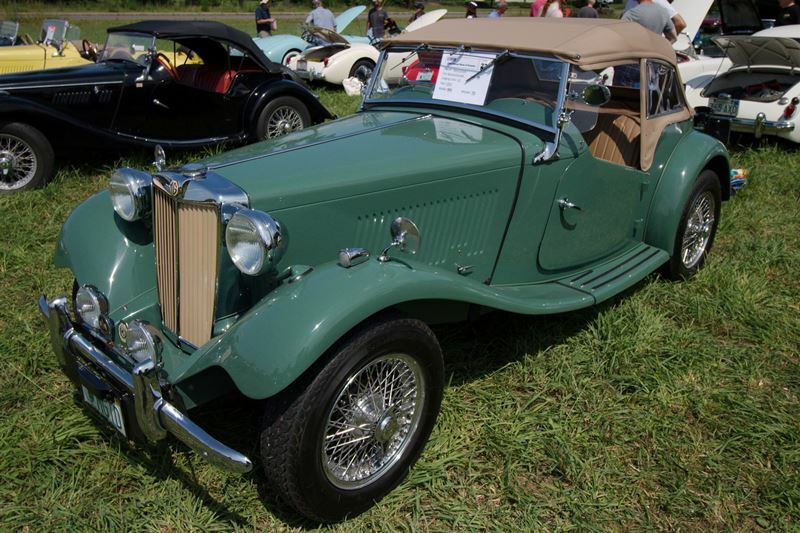 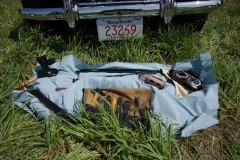 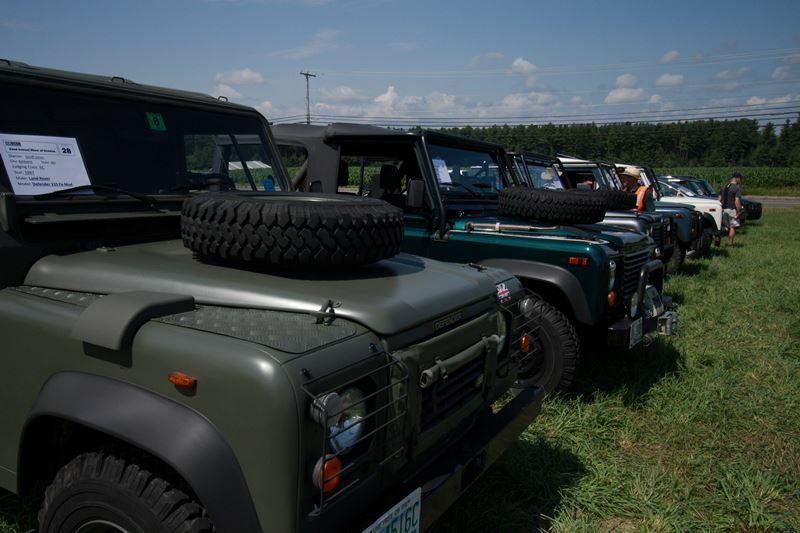 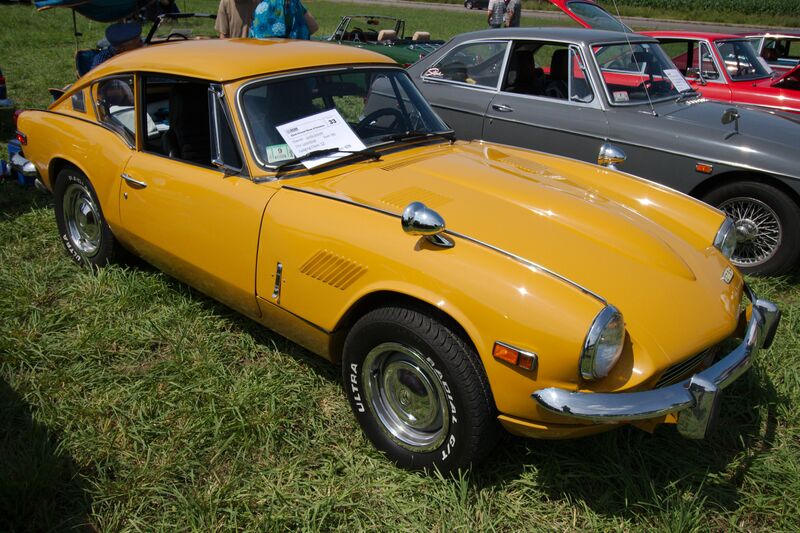 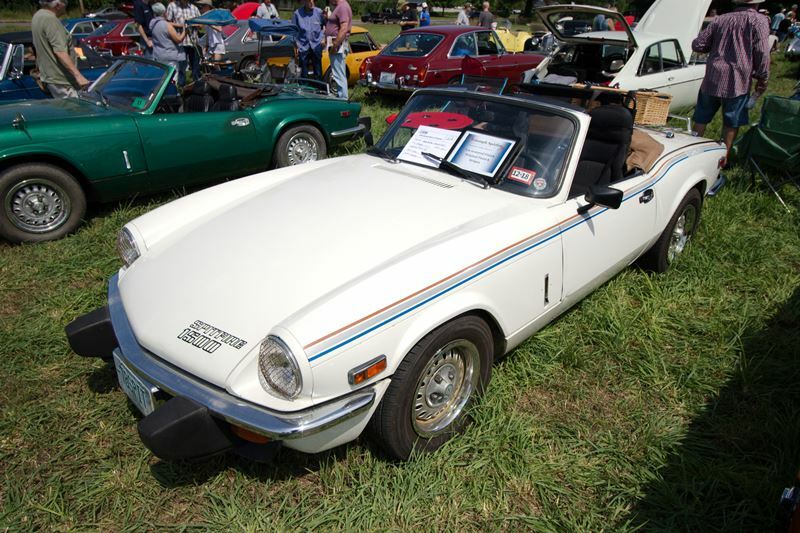 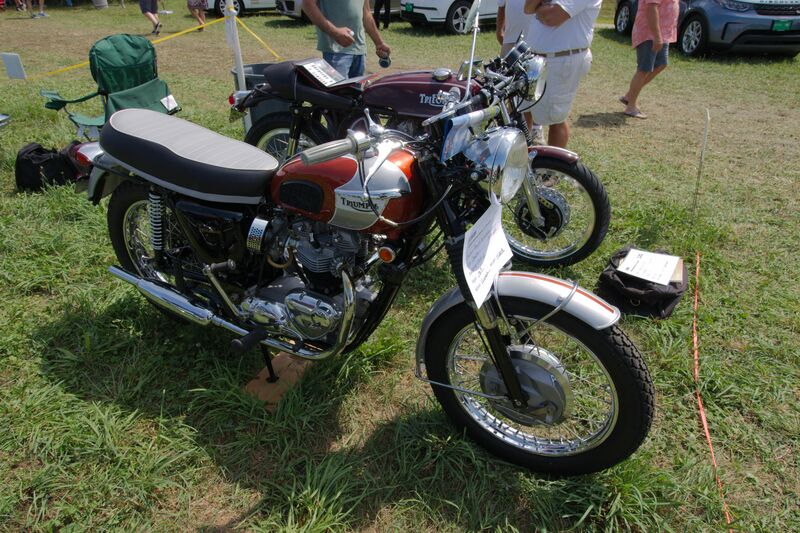 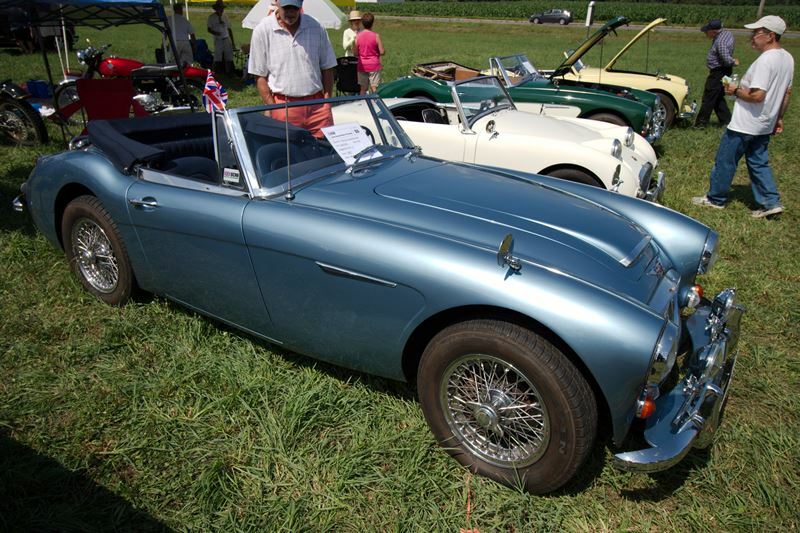 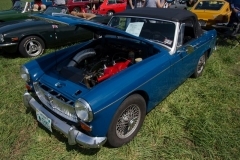 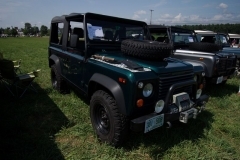 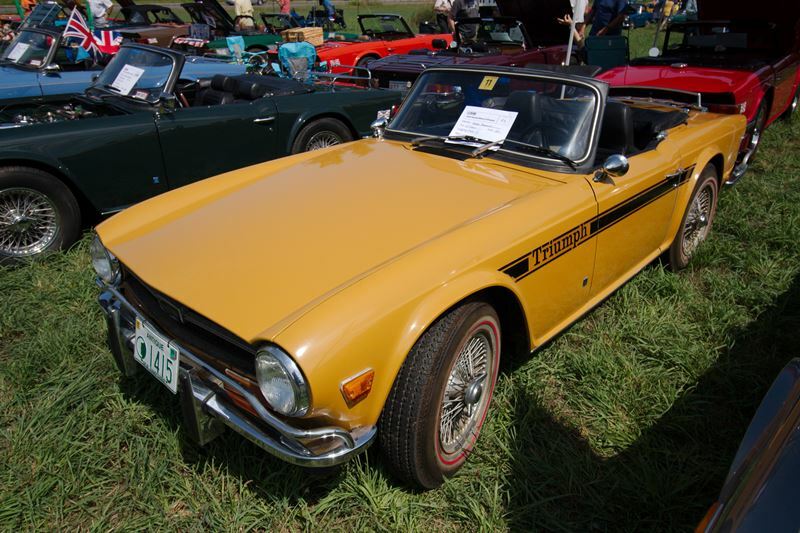 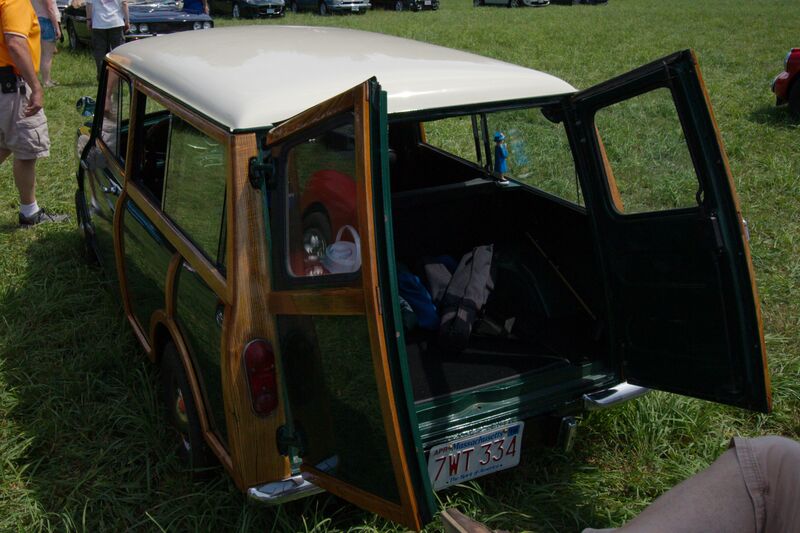 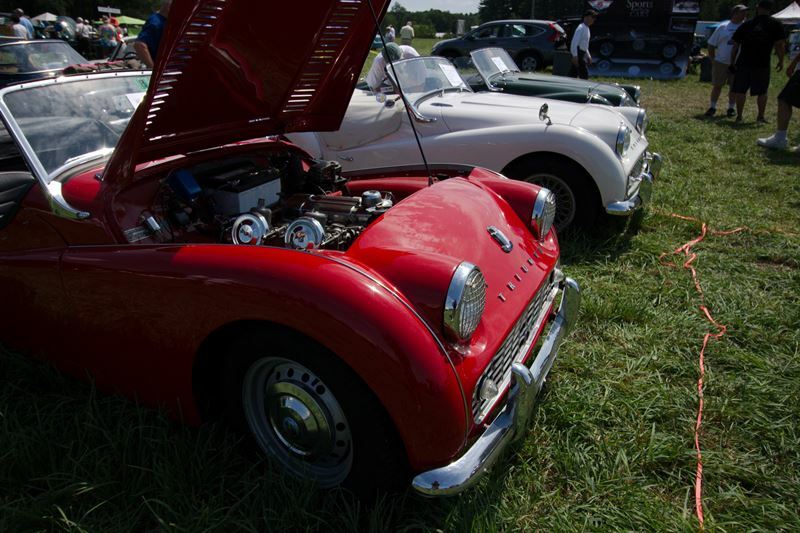 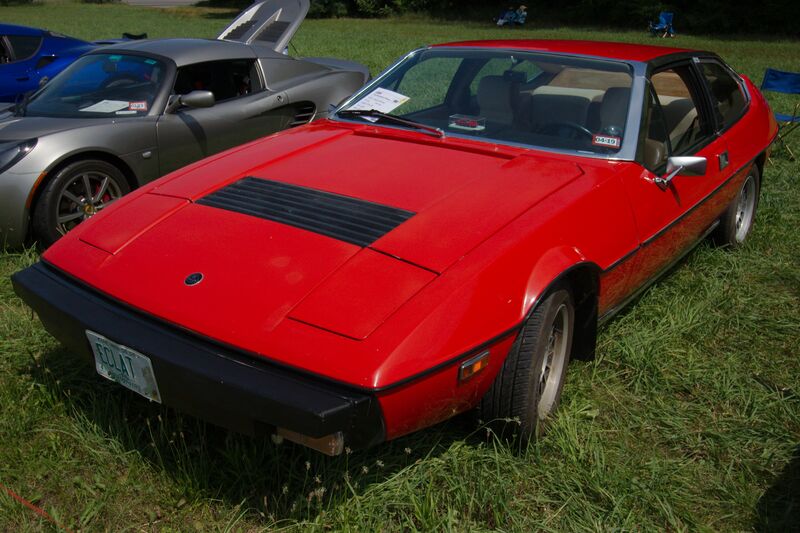 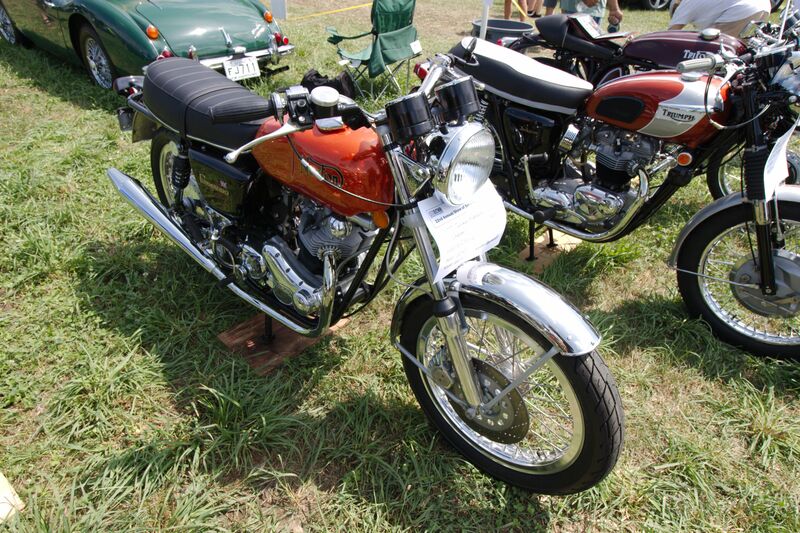 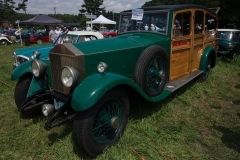 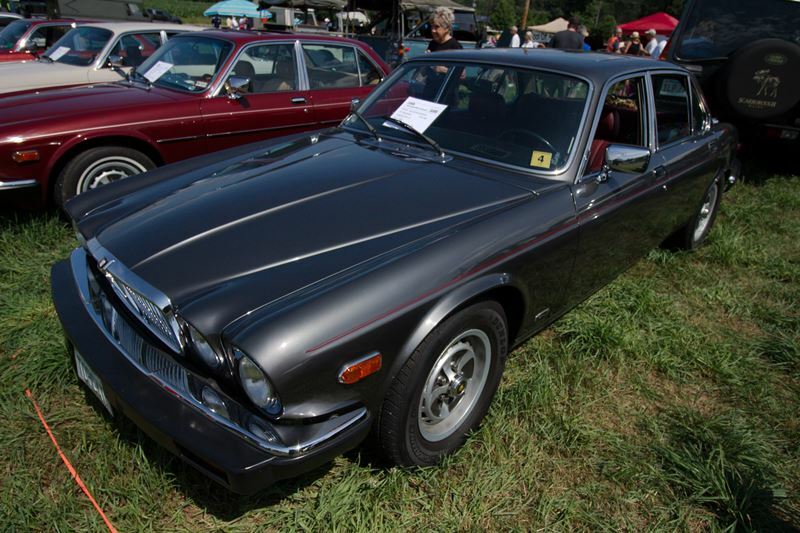 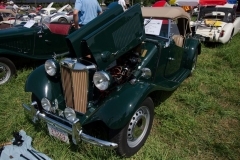 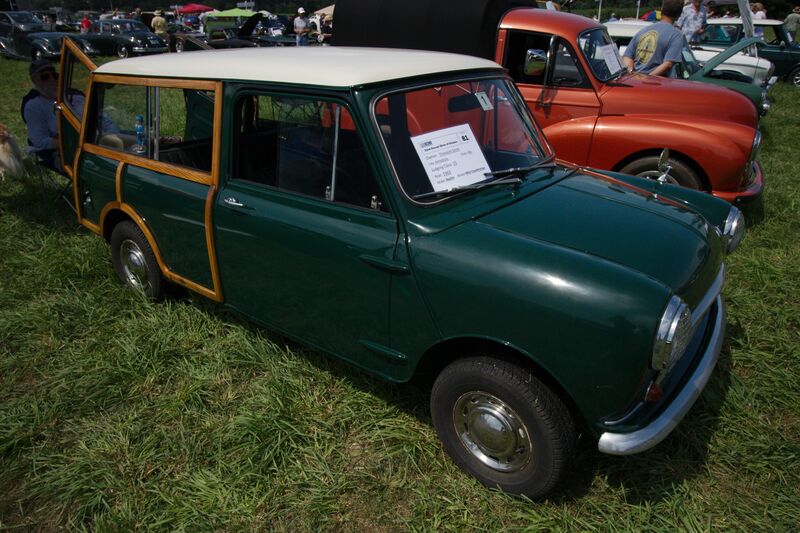 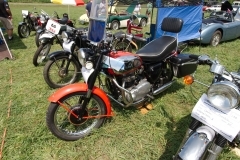 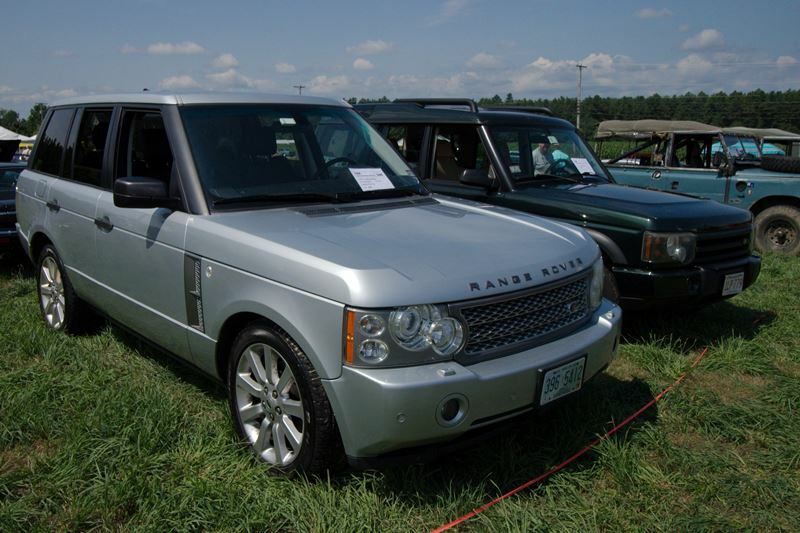 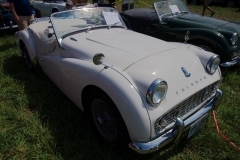 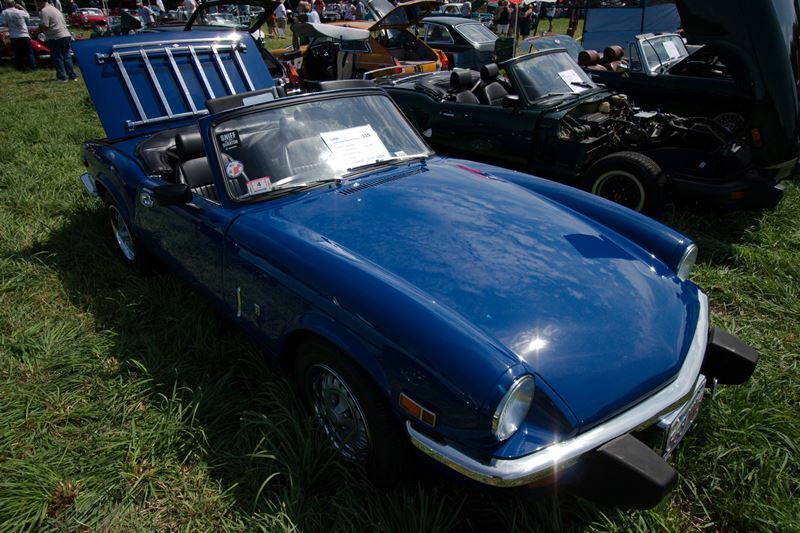 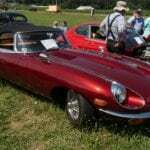 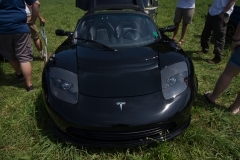 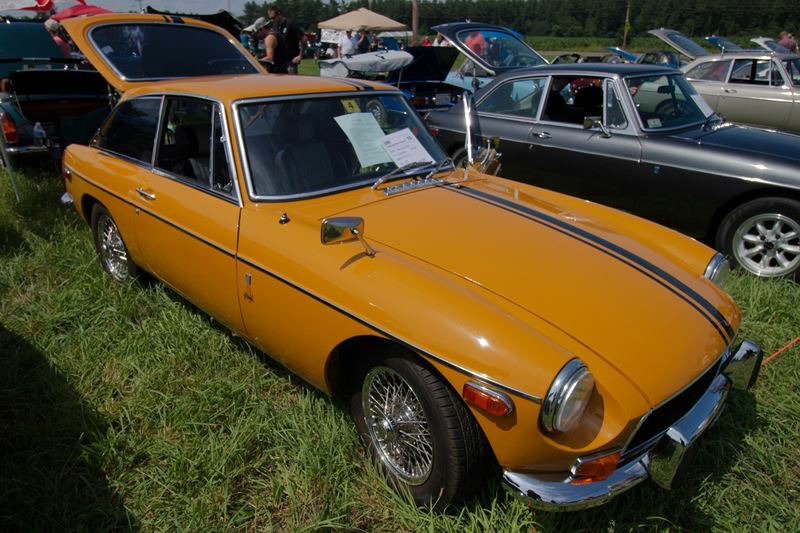 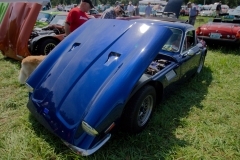 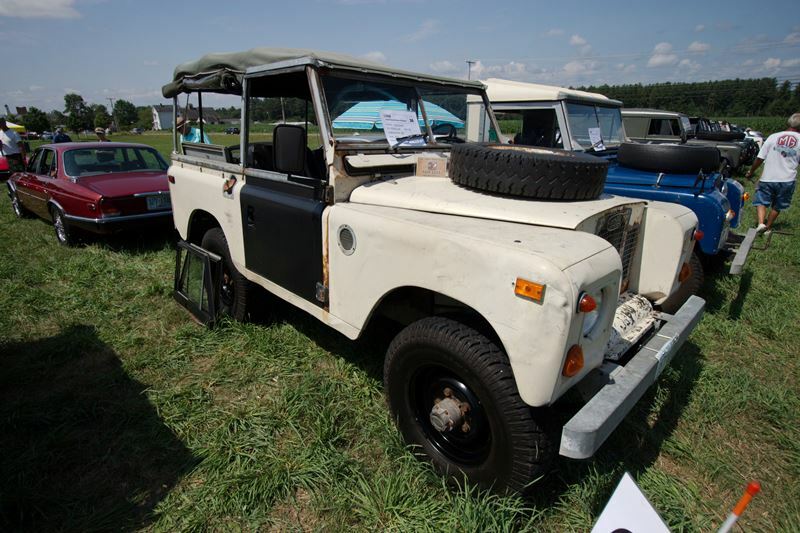 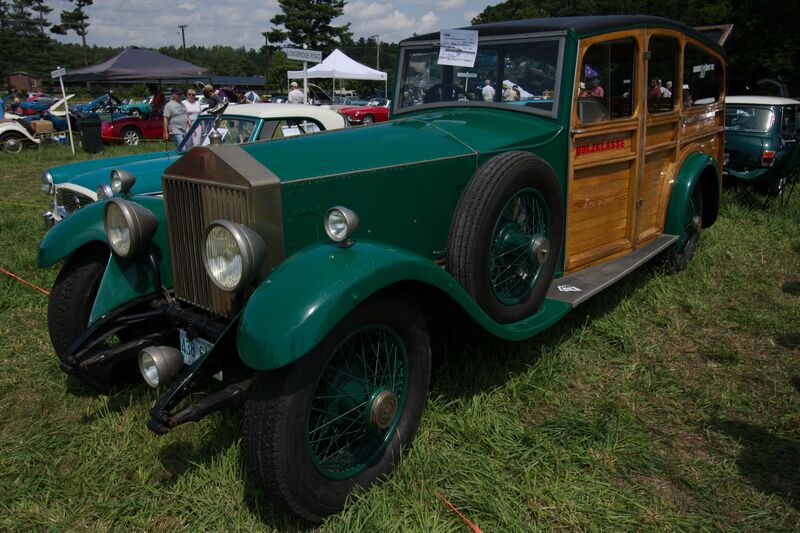 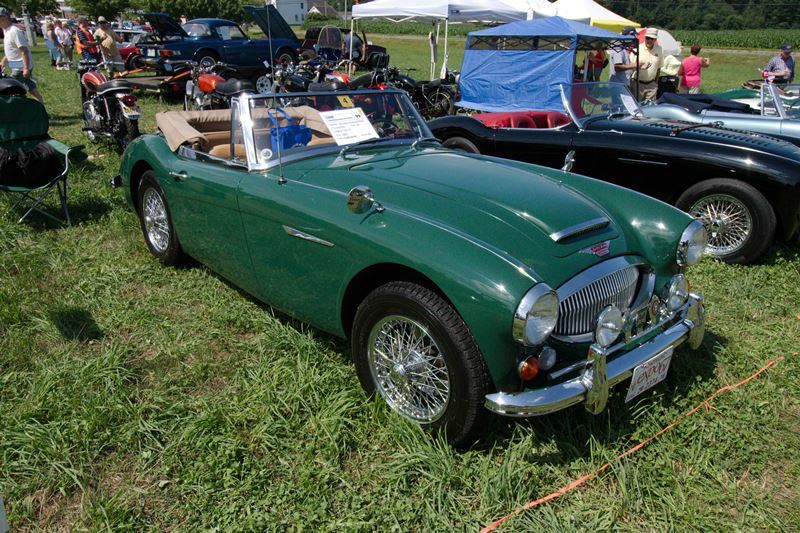 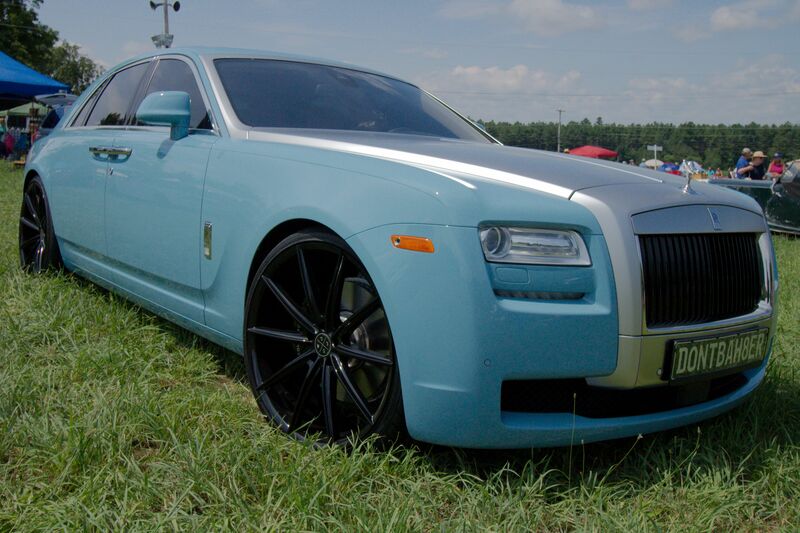 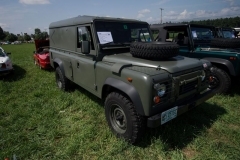 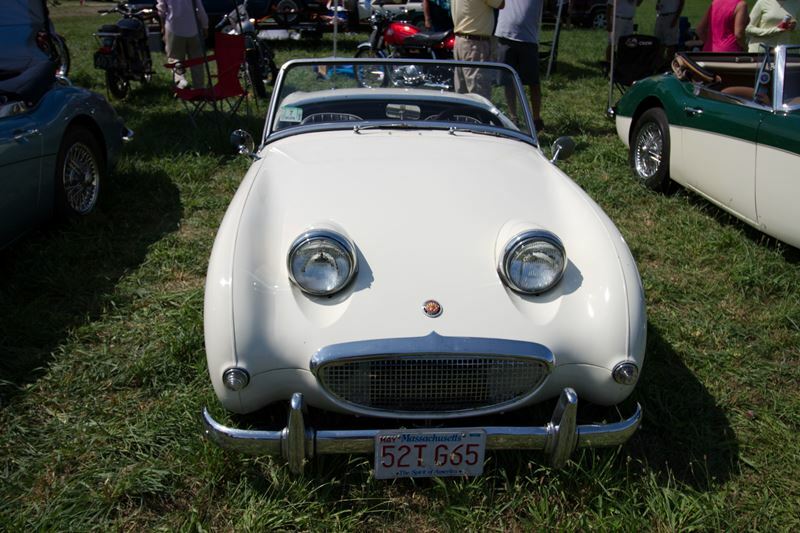 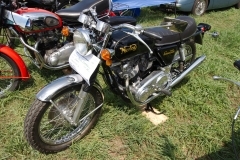 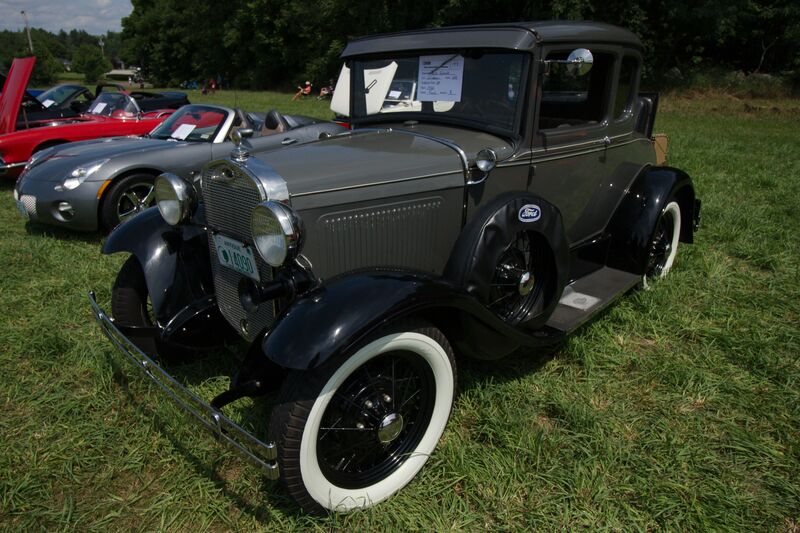 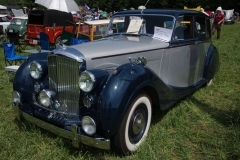 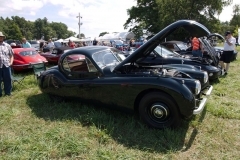 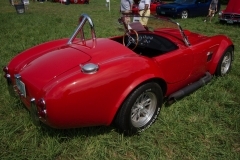 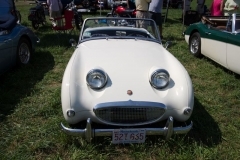 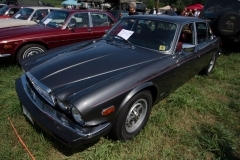 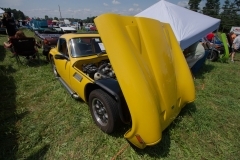 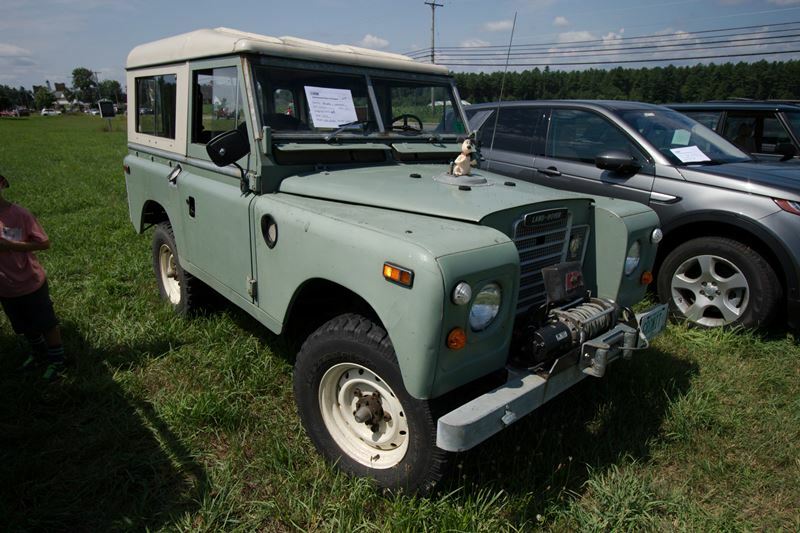 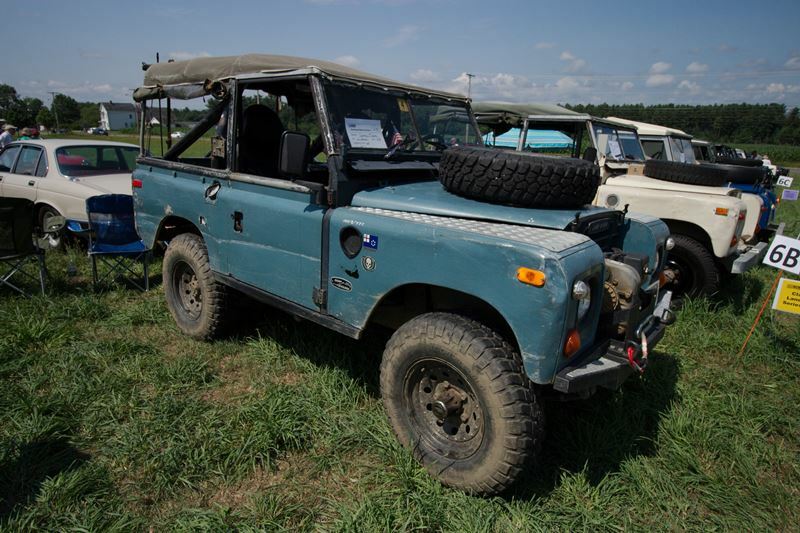 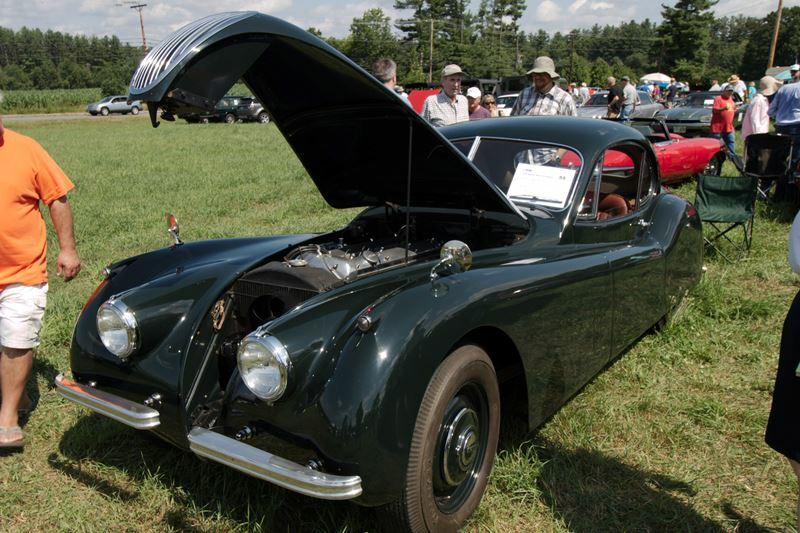 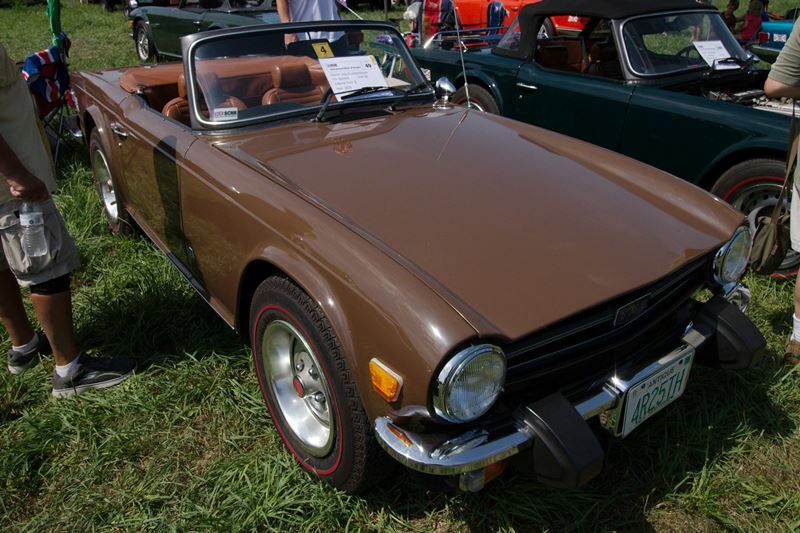 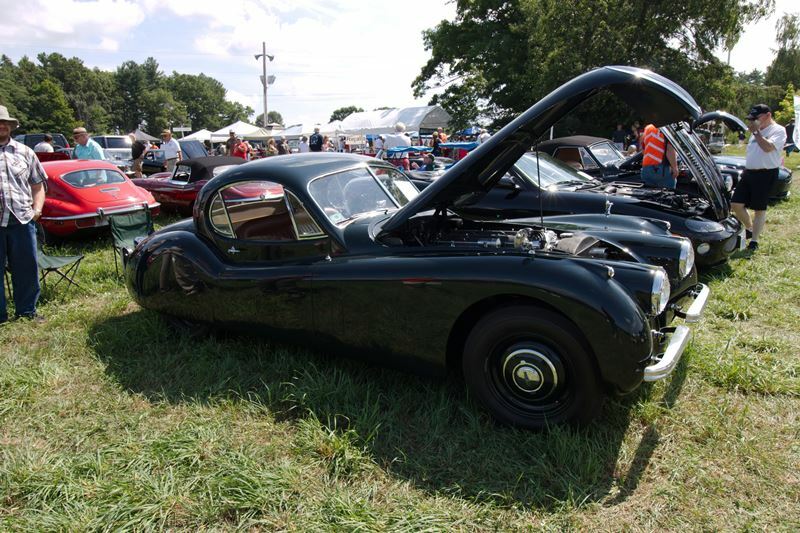 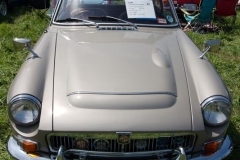 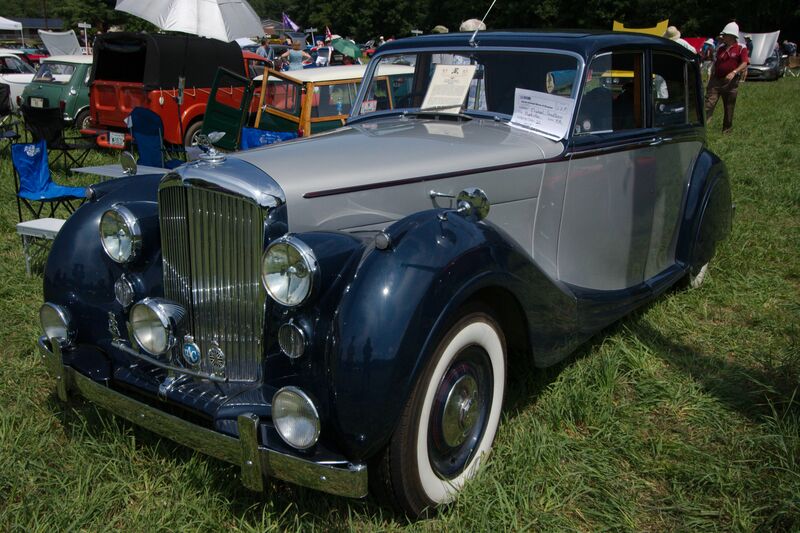 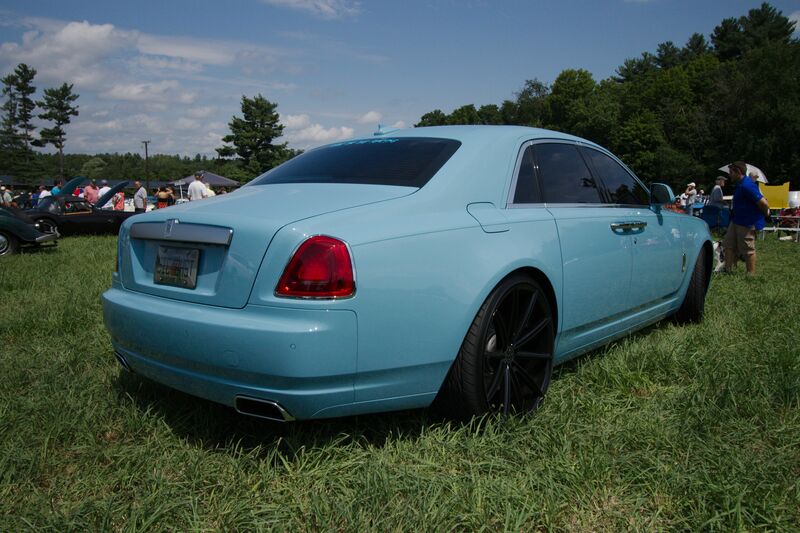 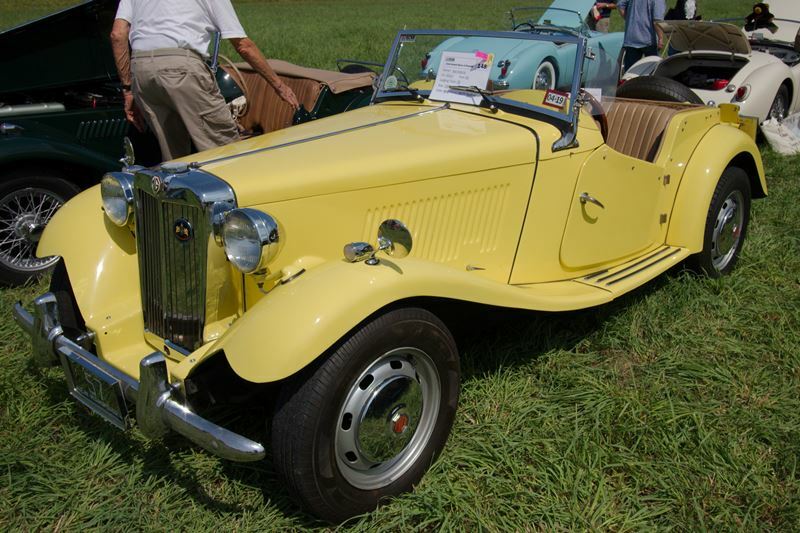 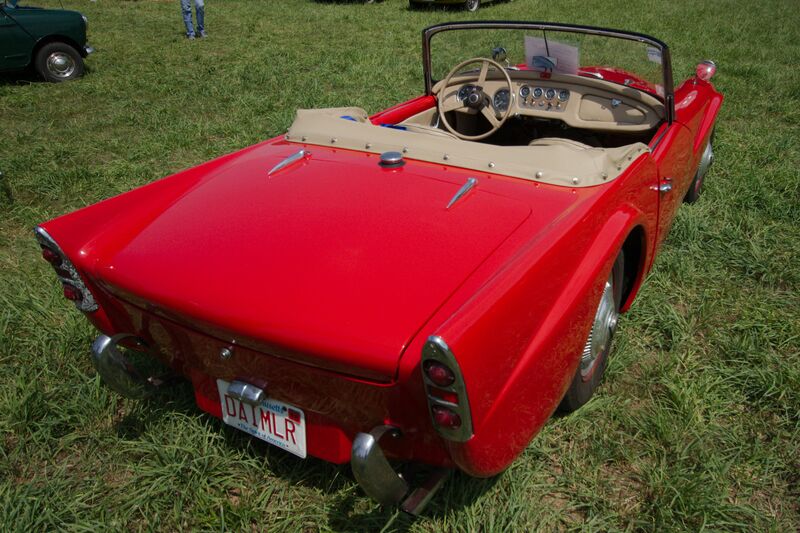 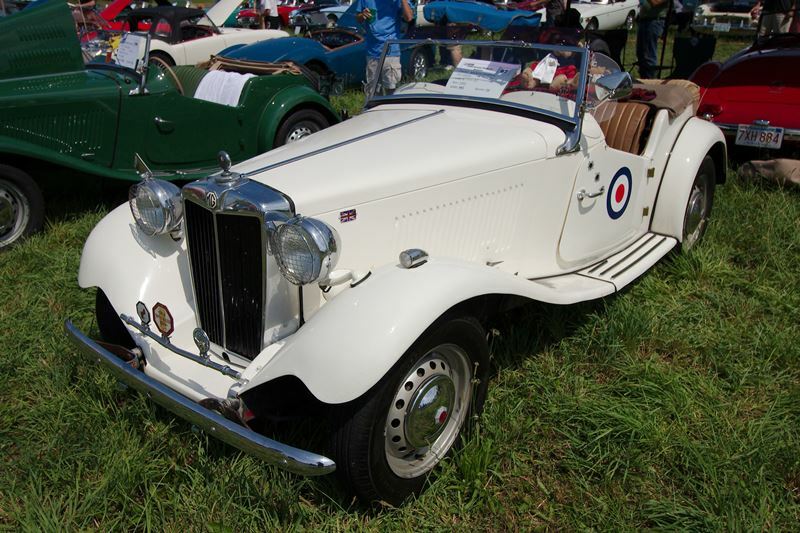 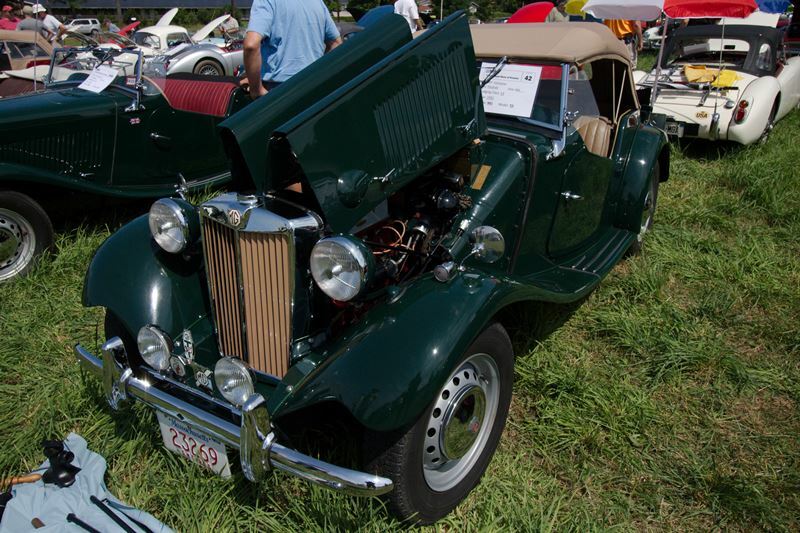 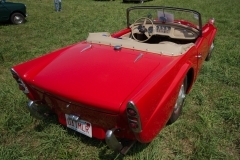 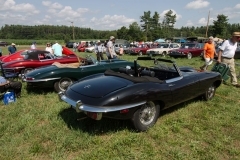 Thier shows have always attracted 100’s of British cars and trucks from all over New England. 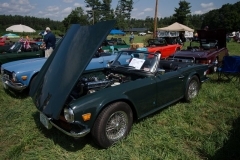 Proceeds from the BCNH show are donated to the High Hopes Foundation of New Hampshire to benefit seriously ill children and the New Hampshire Food Bank. 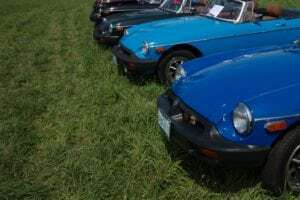 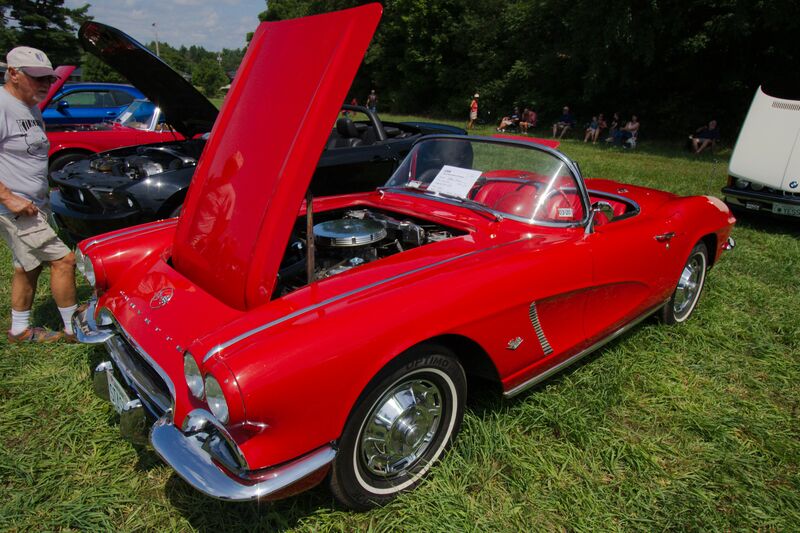 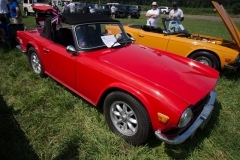 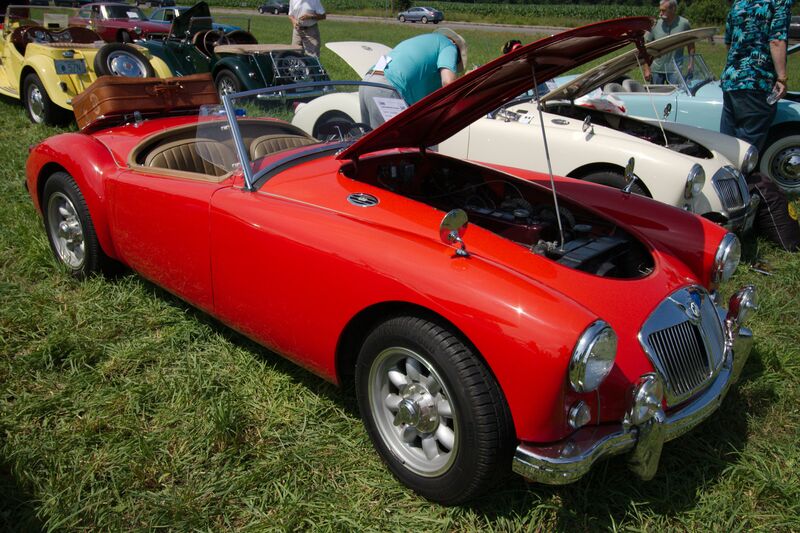 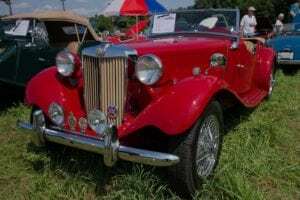 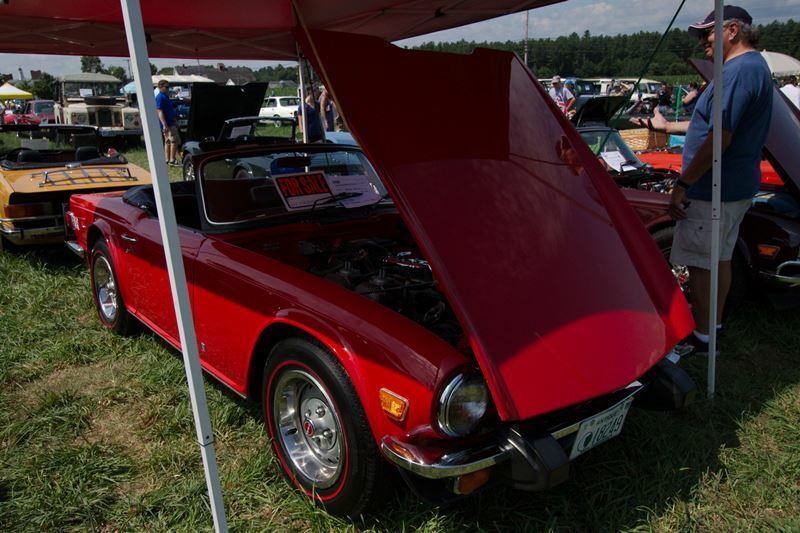 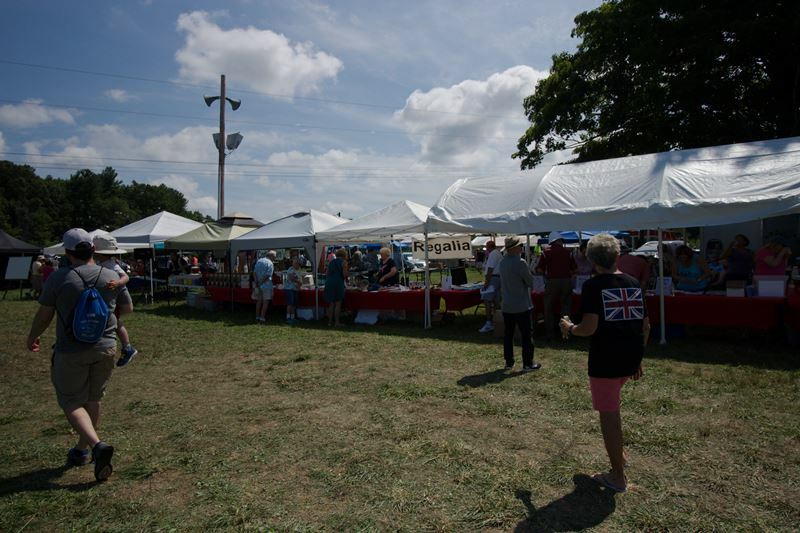 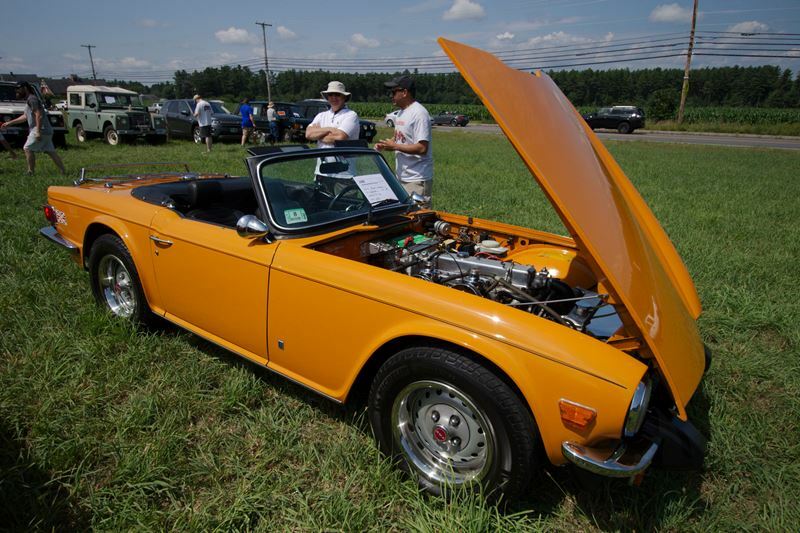 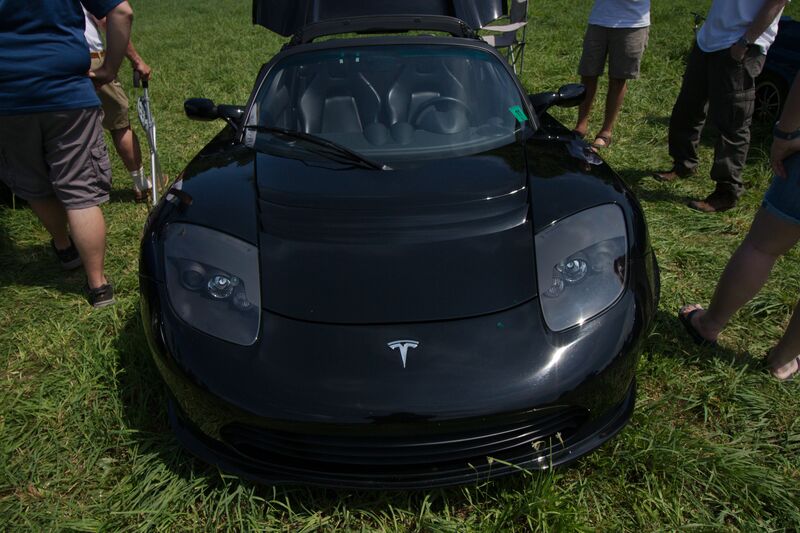 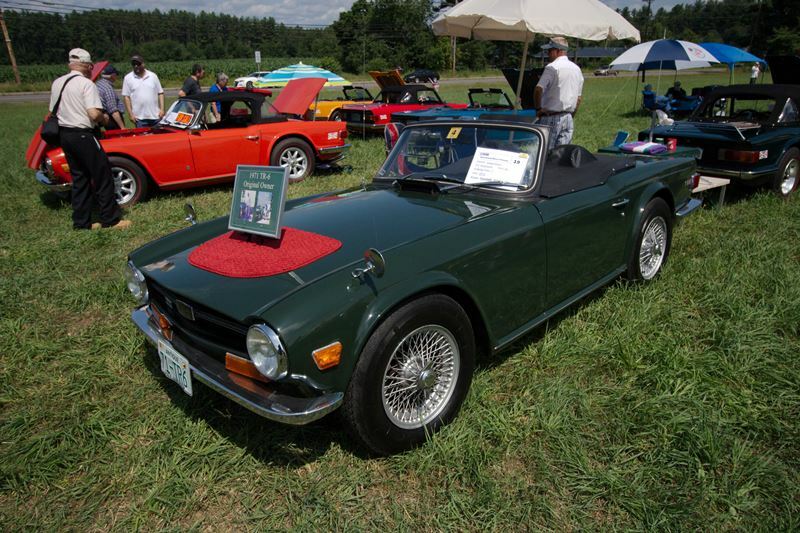 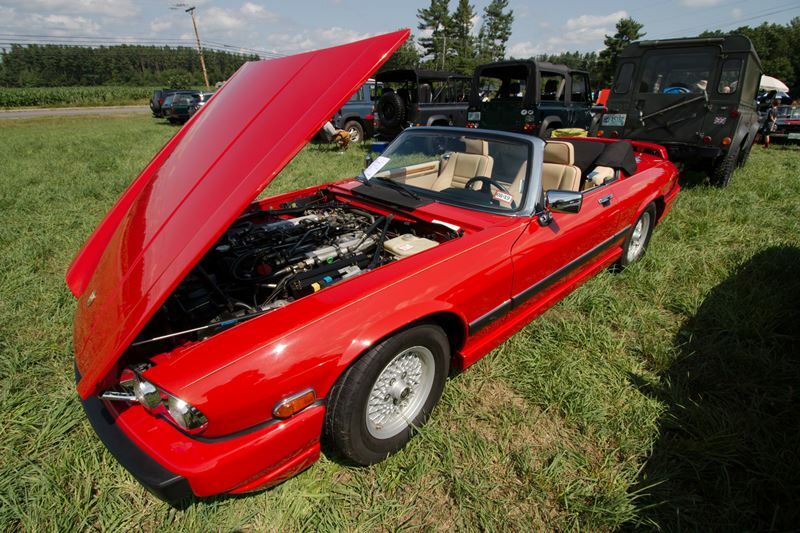 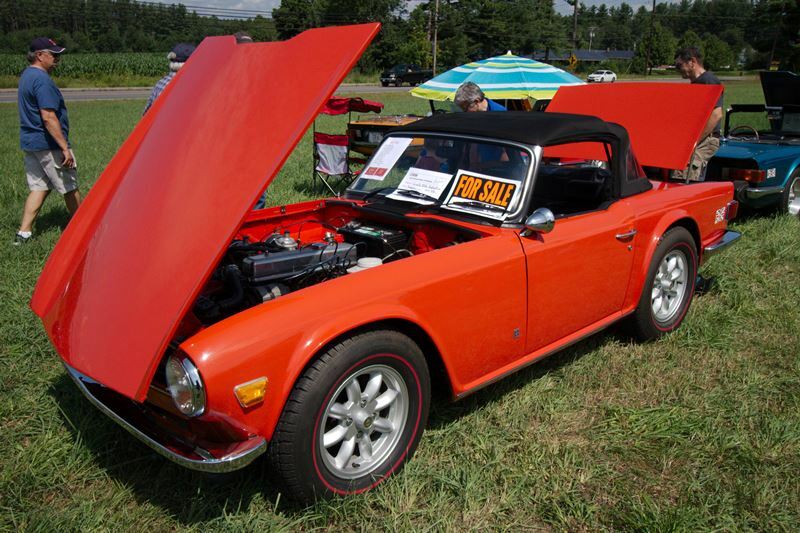 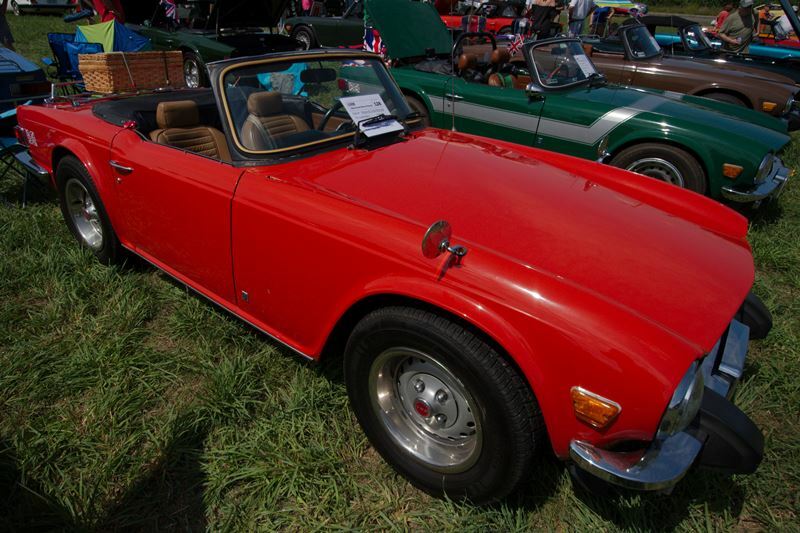 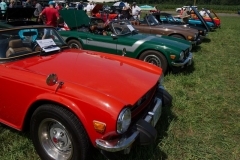 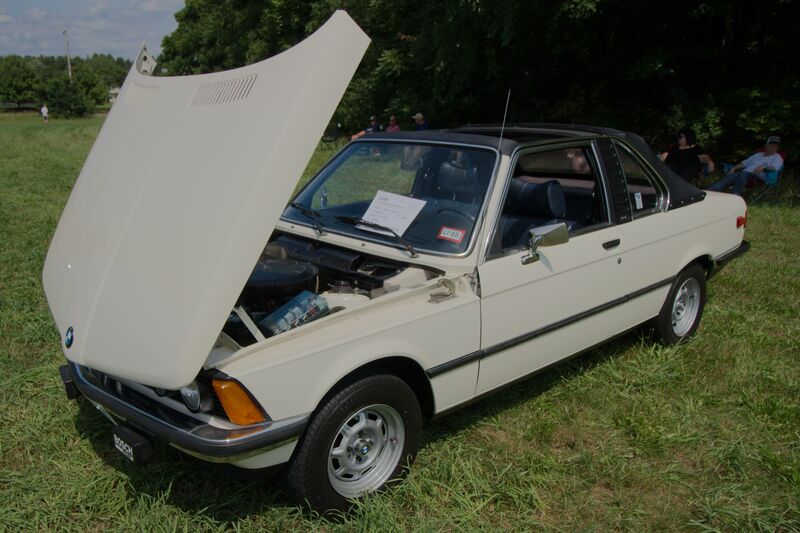 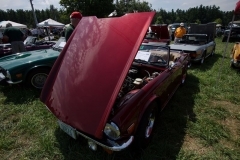 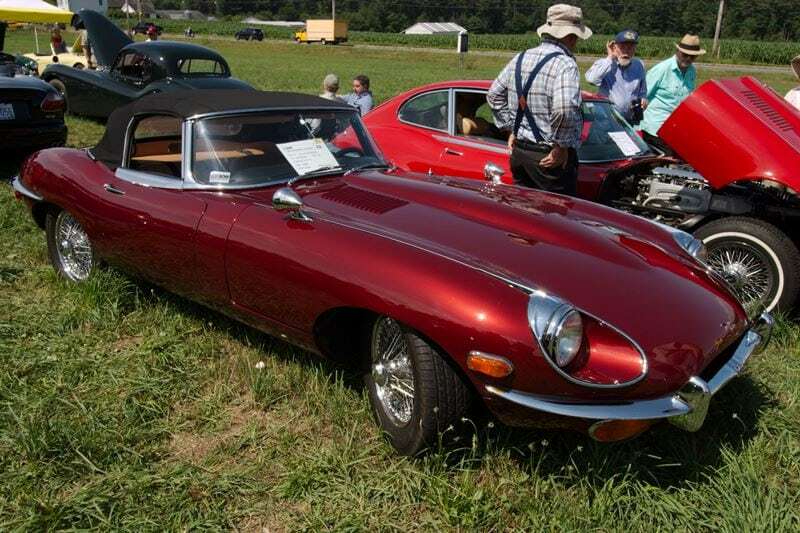 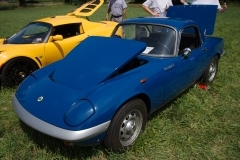 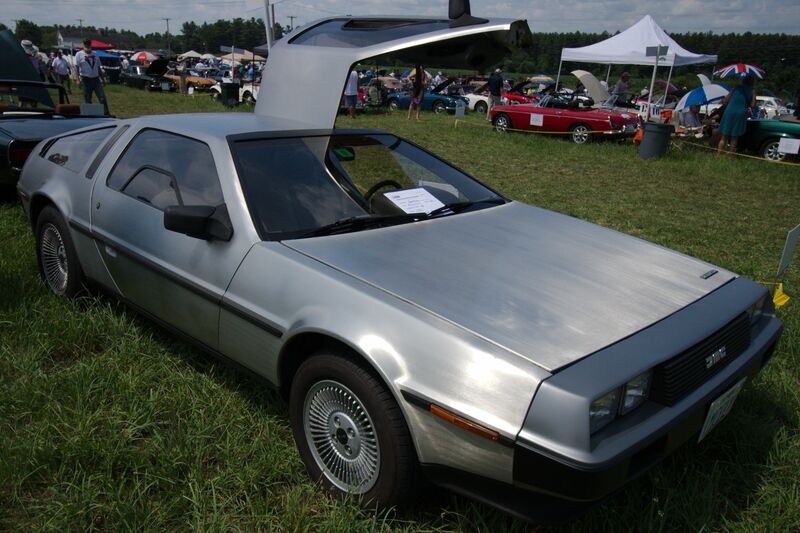 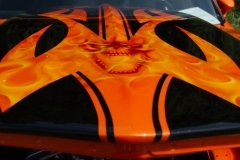 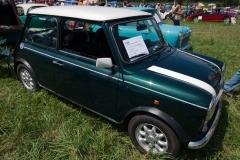 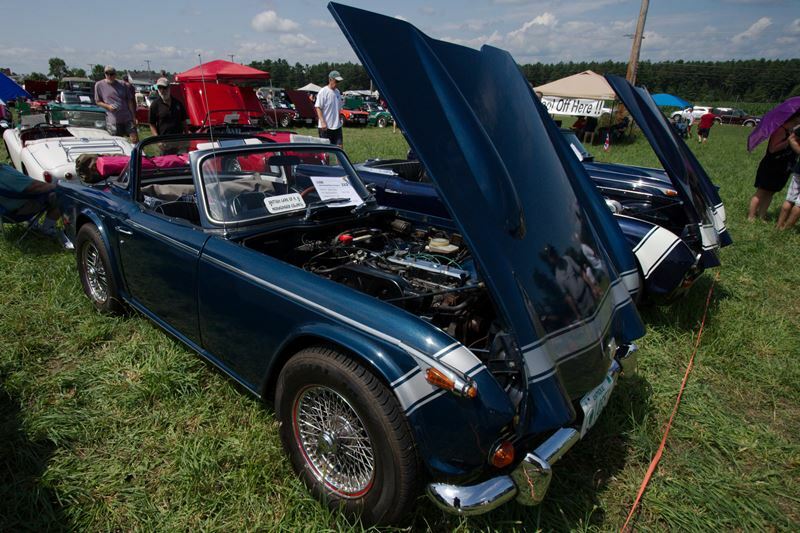 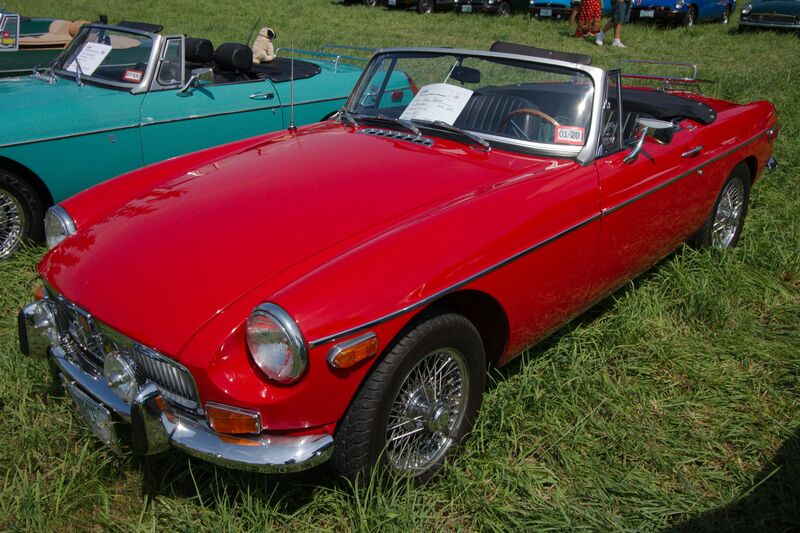 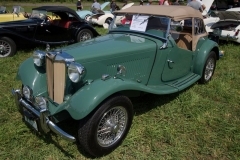 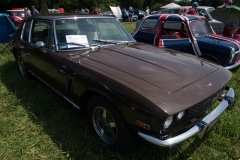 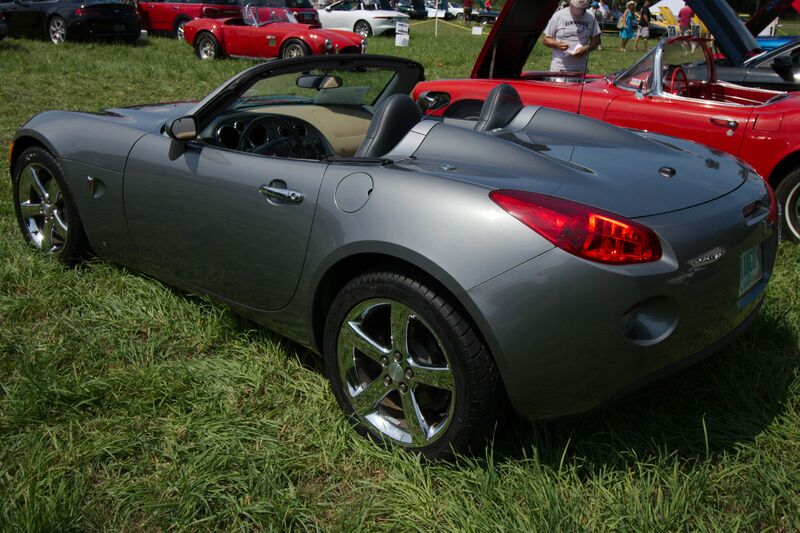 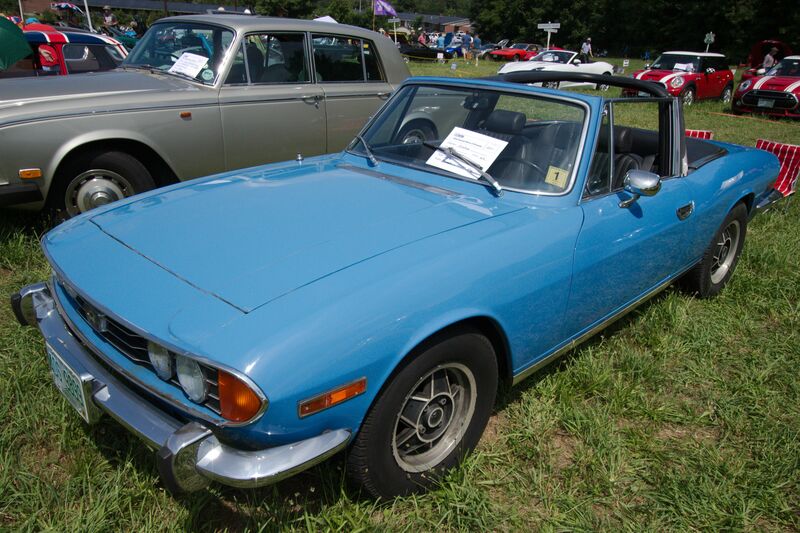 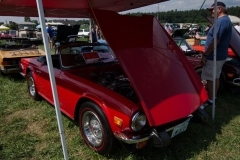 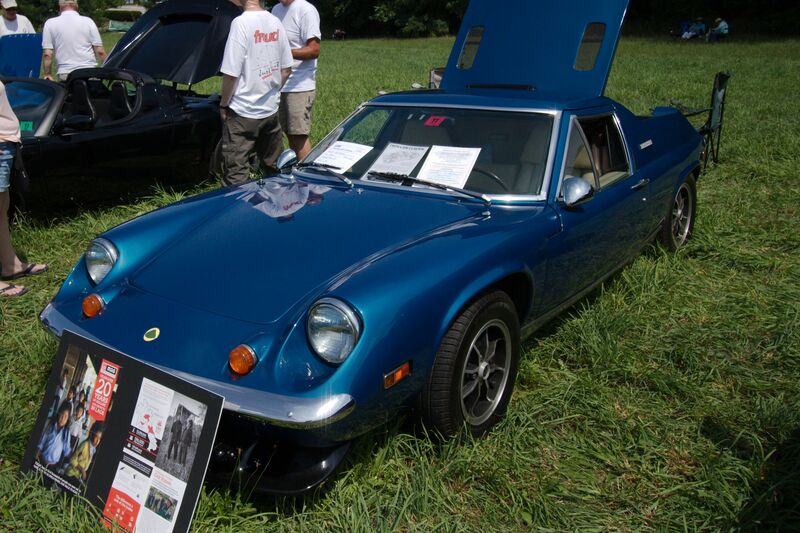 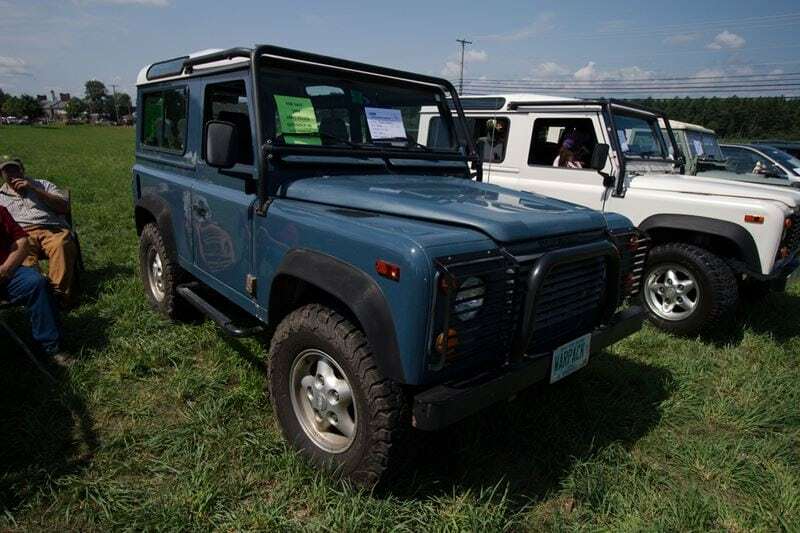 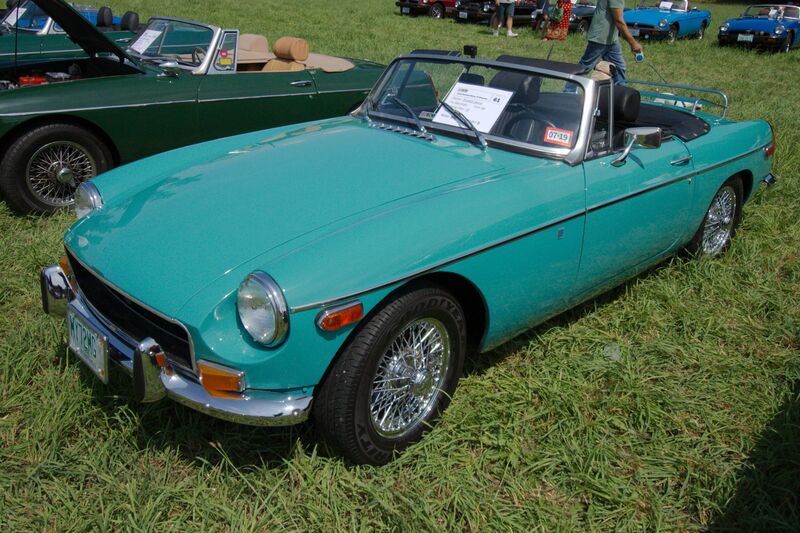 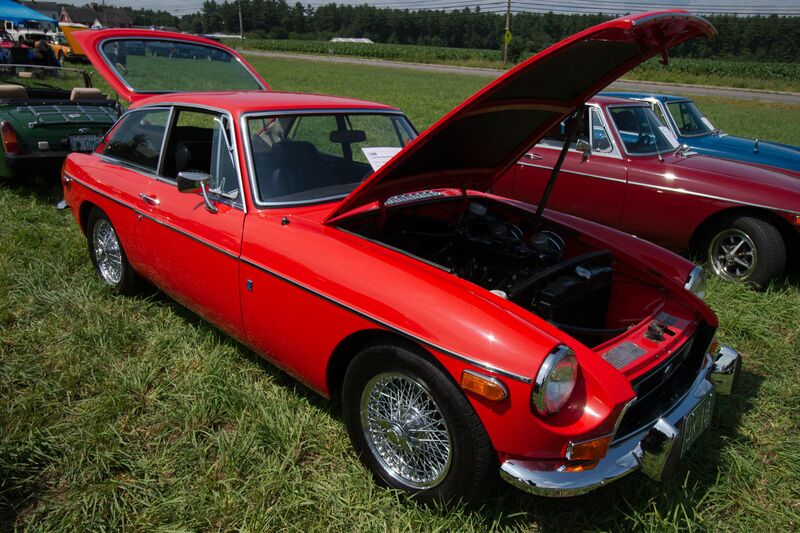 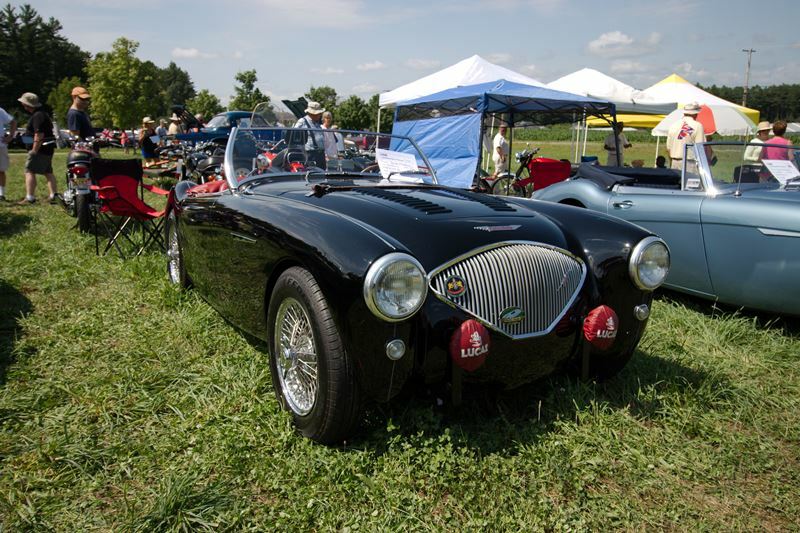 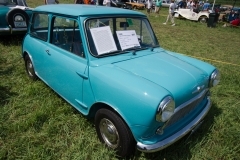 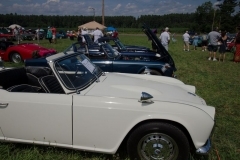 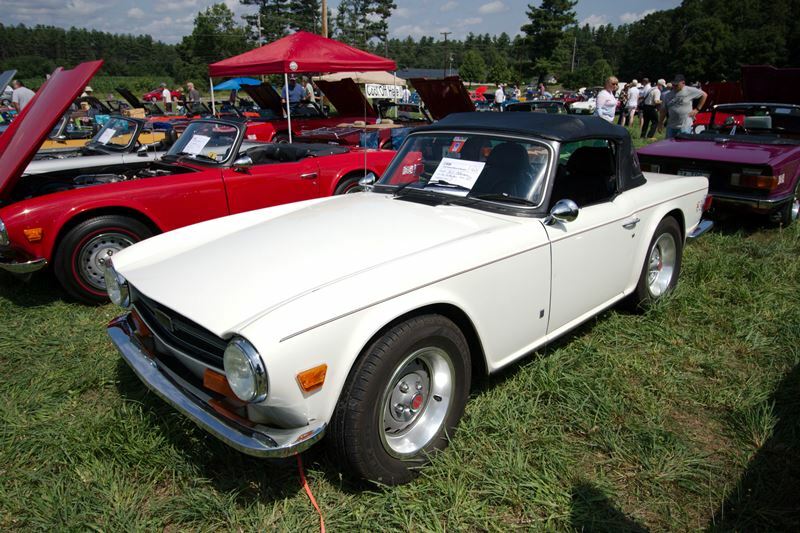 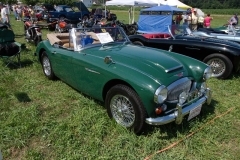 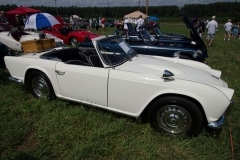 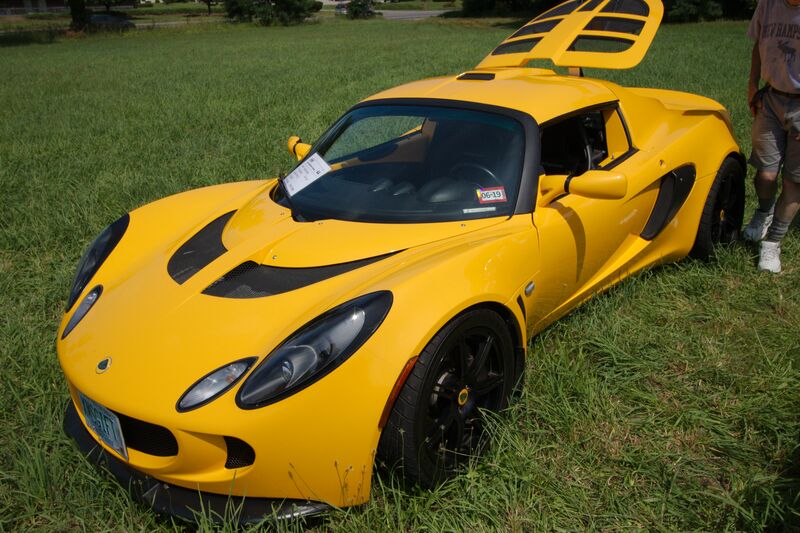 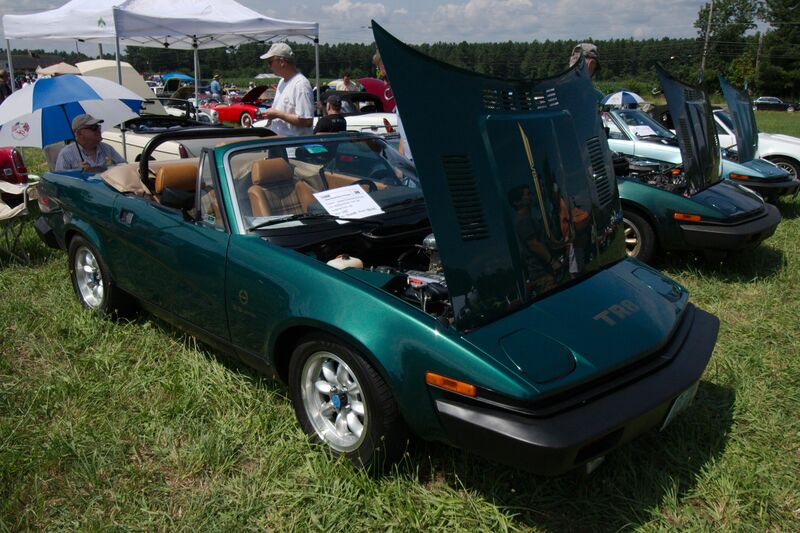 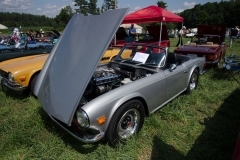 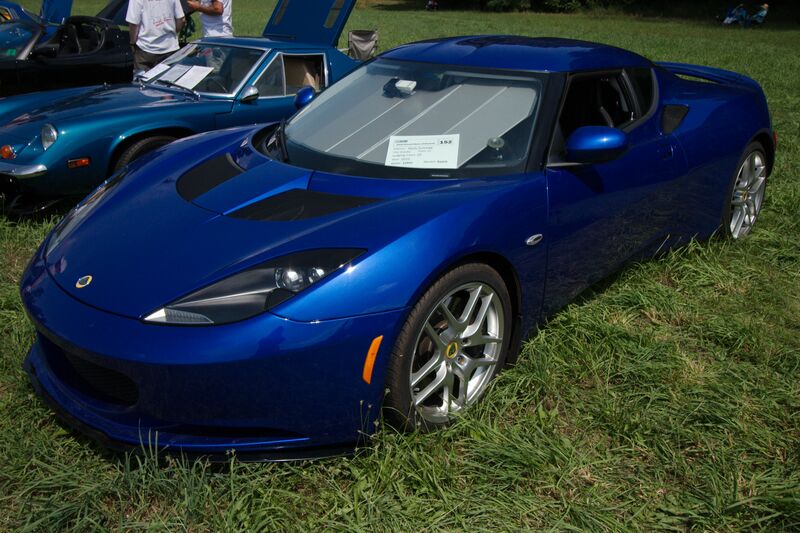 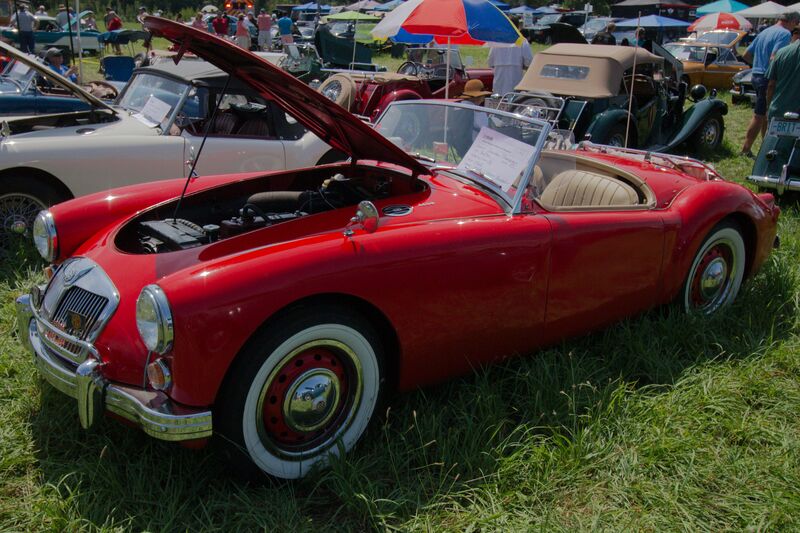 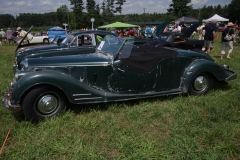 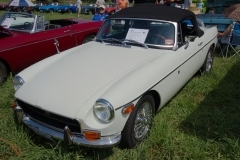 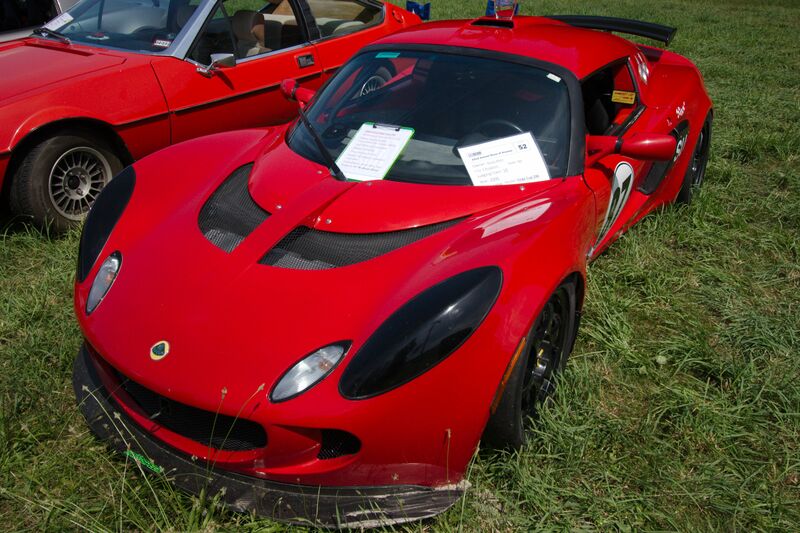 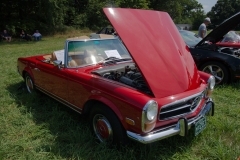 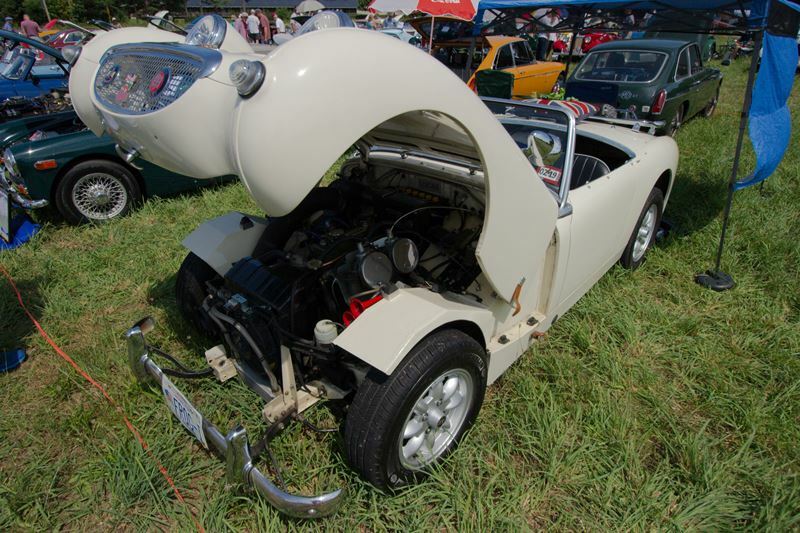 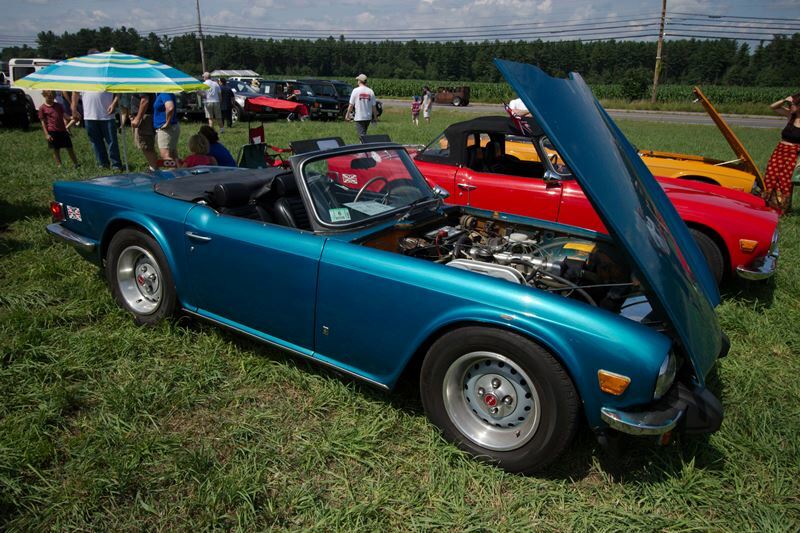 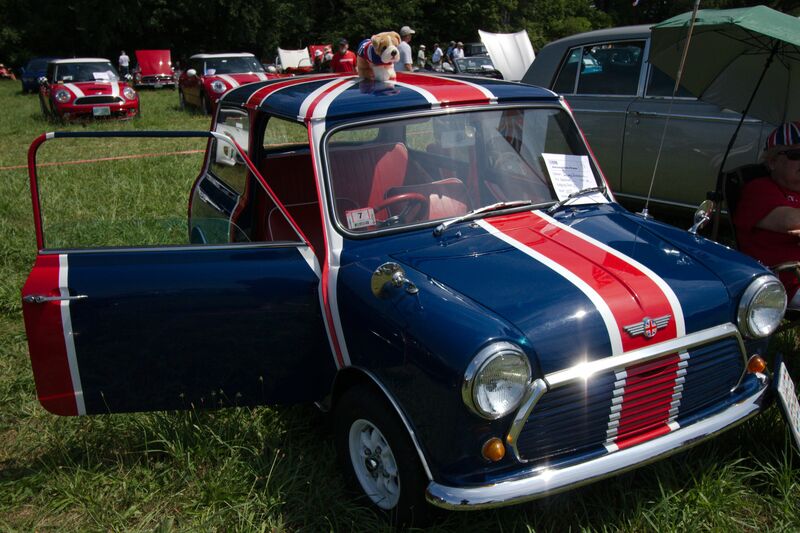 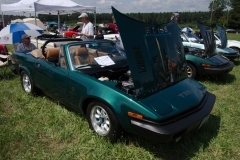 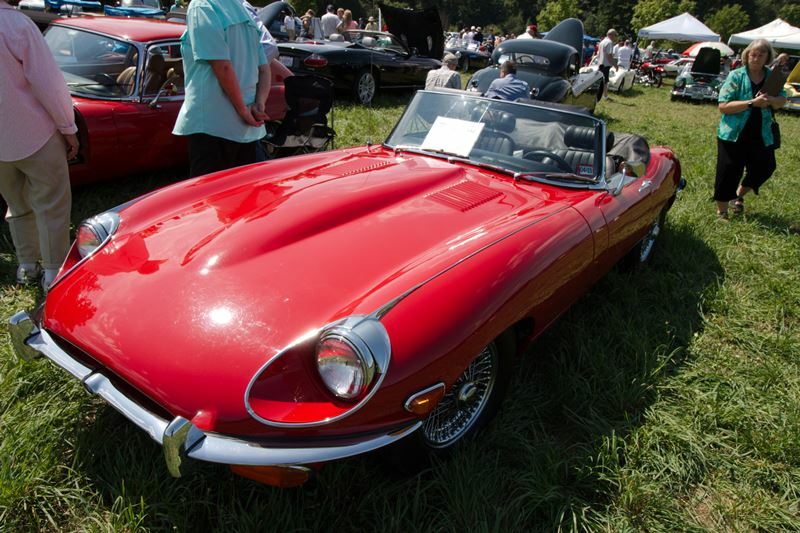 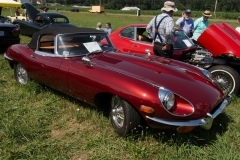 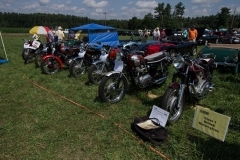 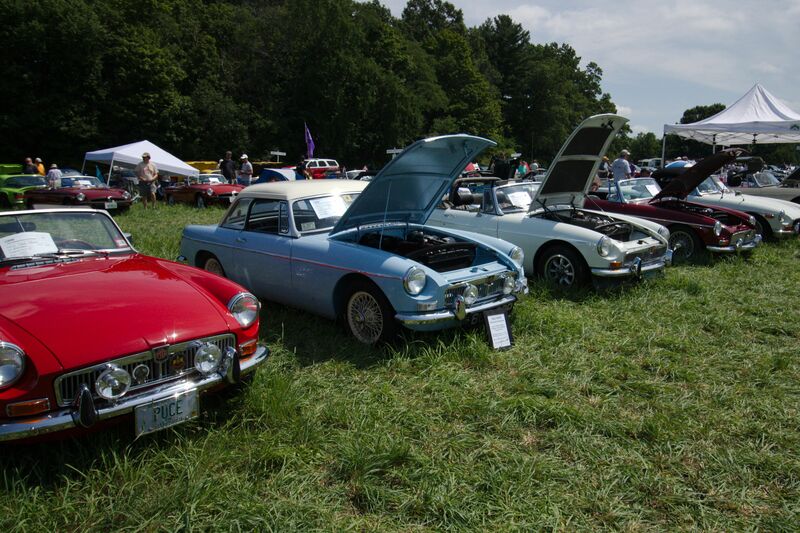 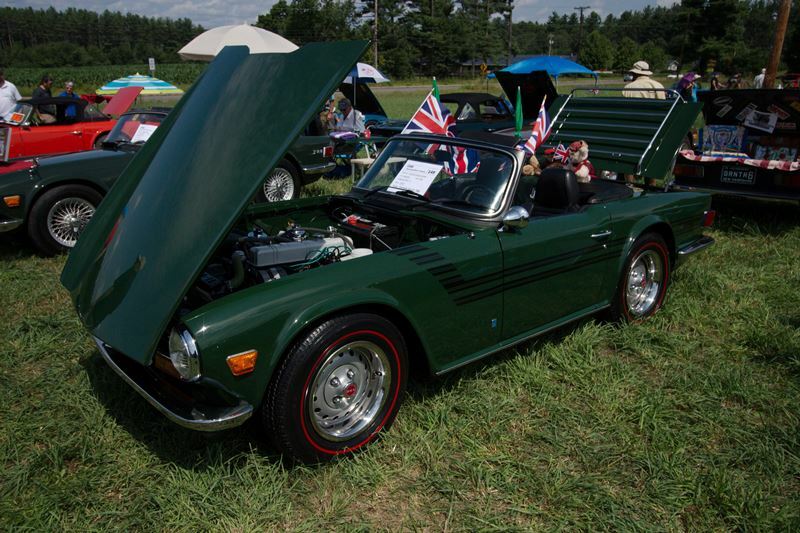 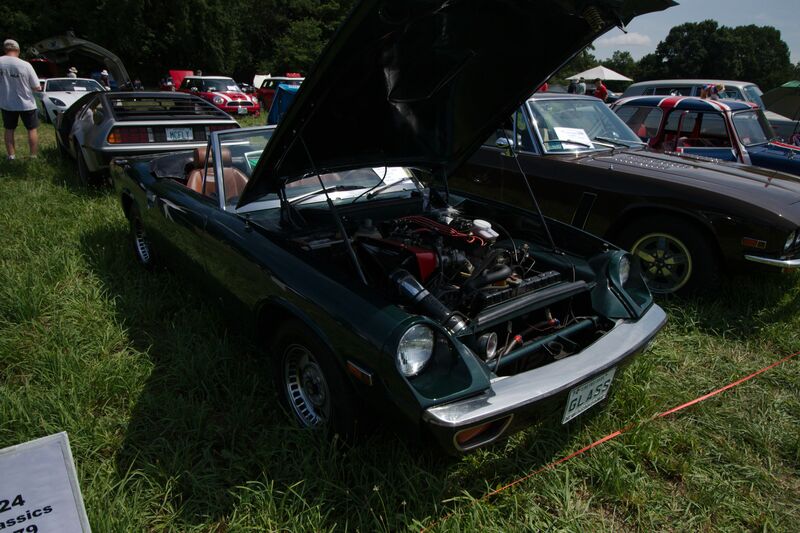 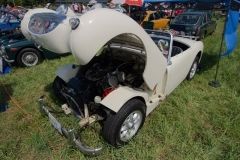 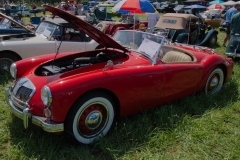 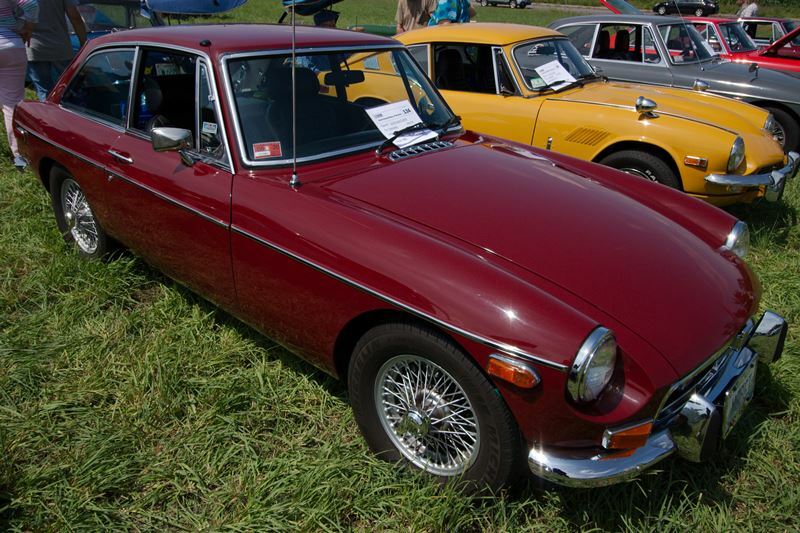 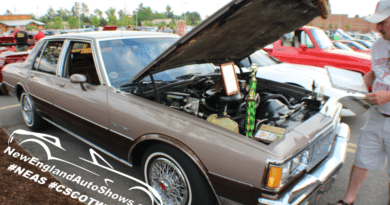 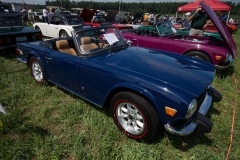 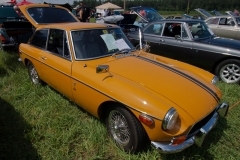 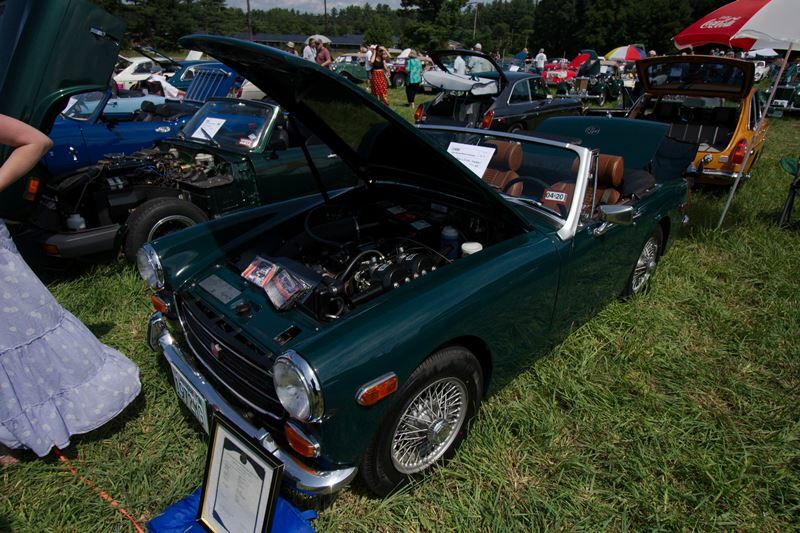 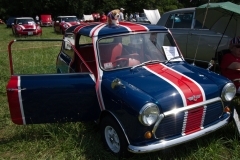 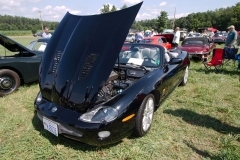 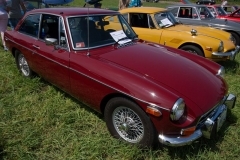 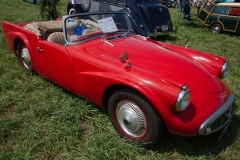 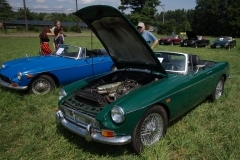 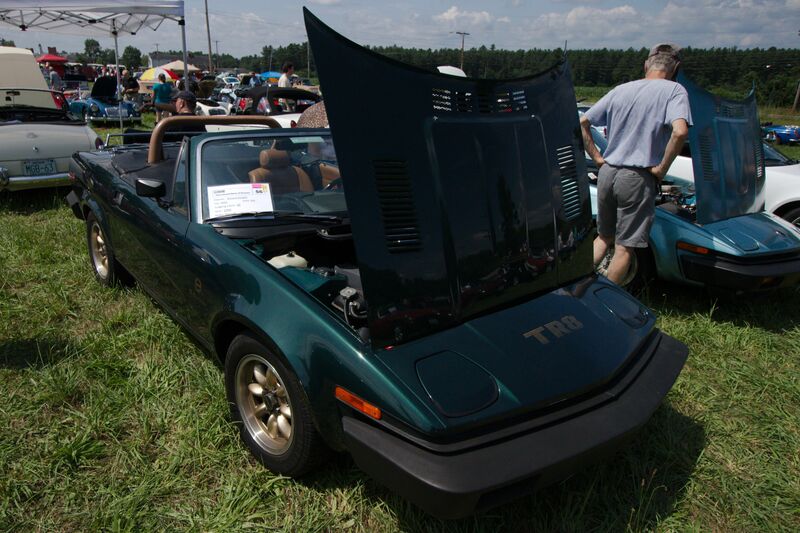 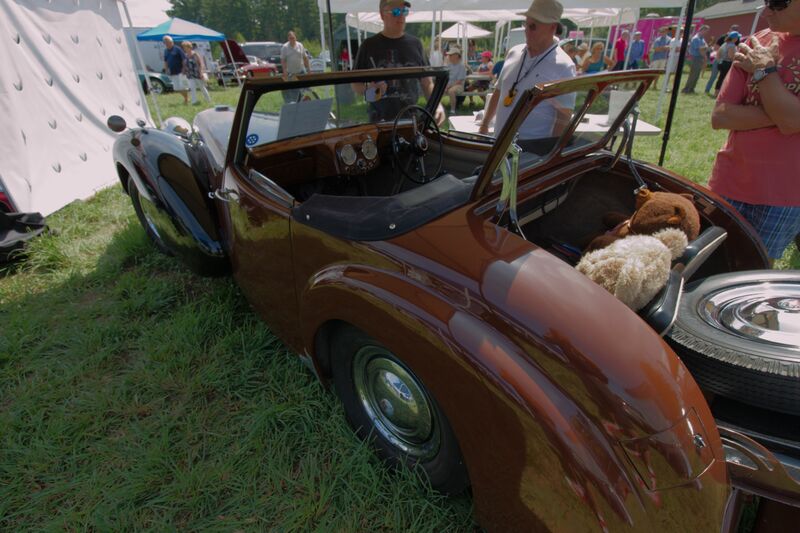 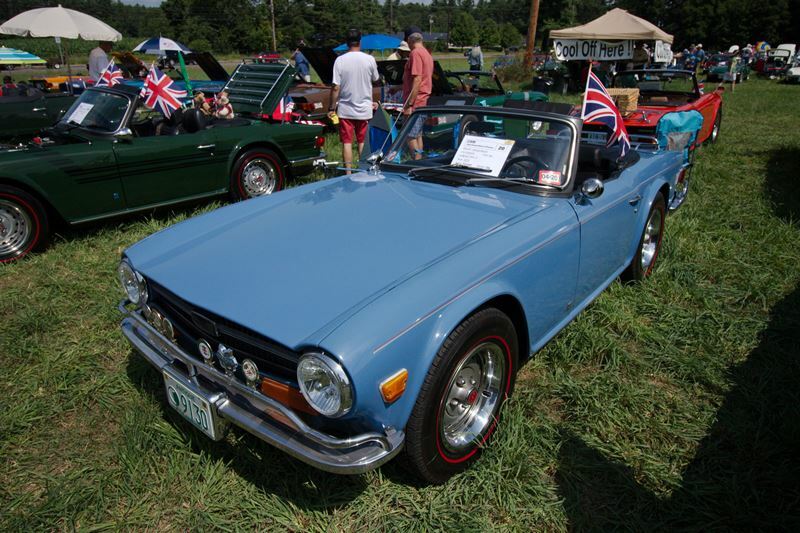 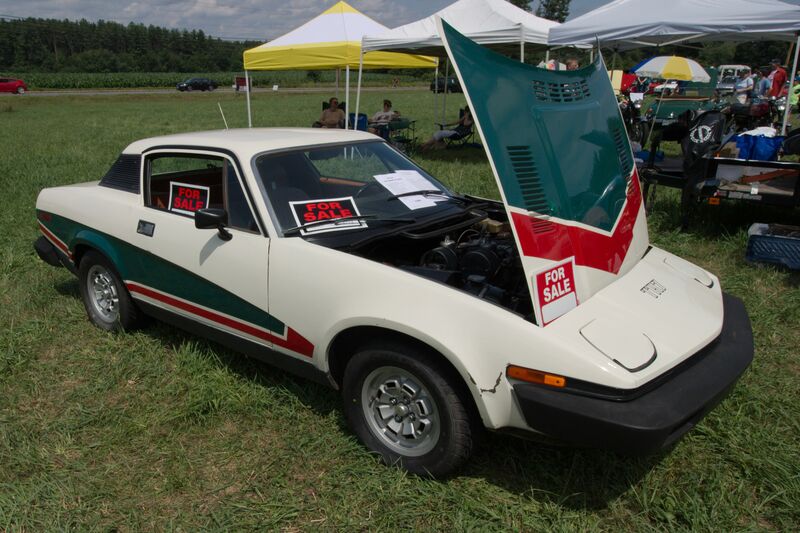 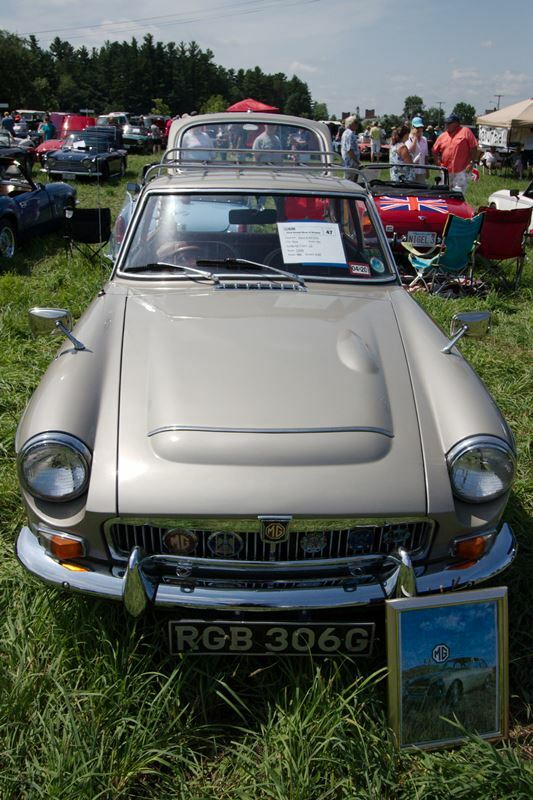 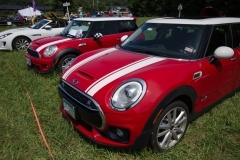 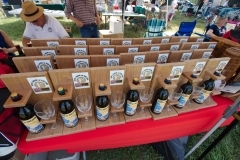 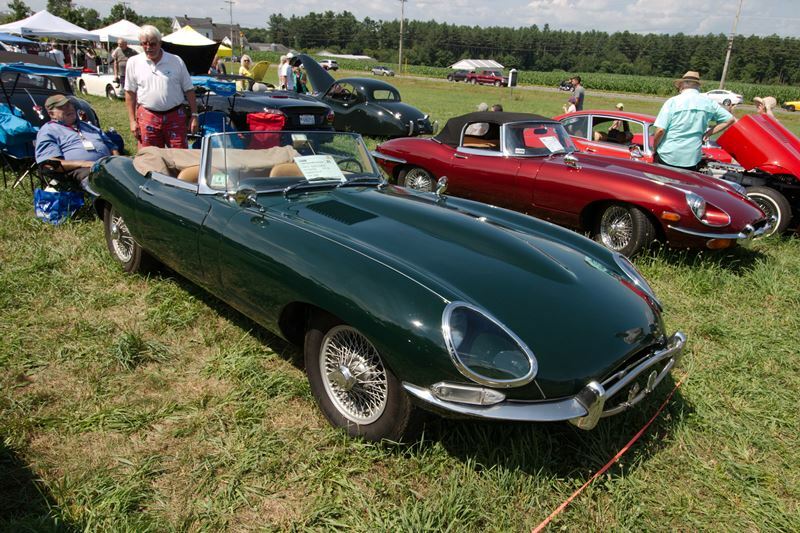 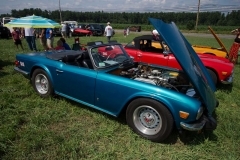 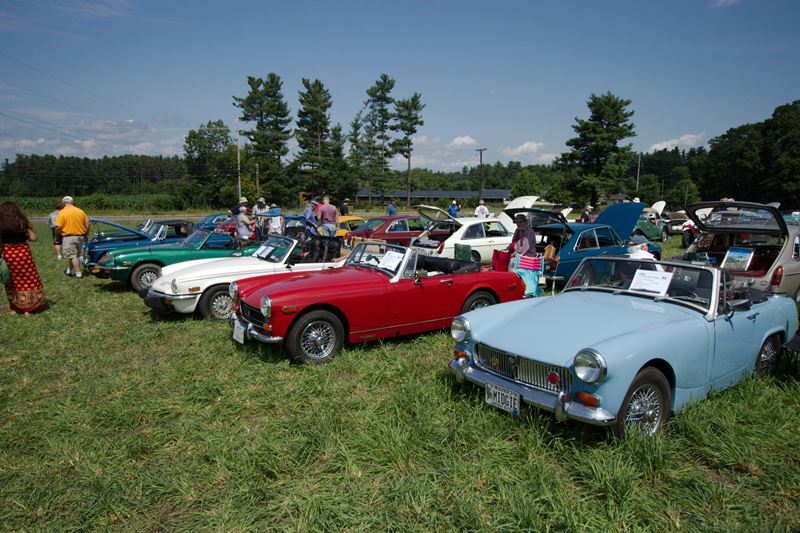 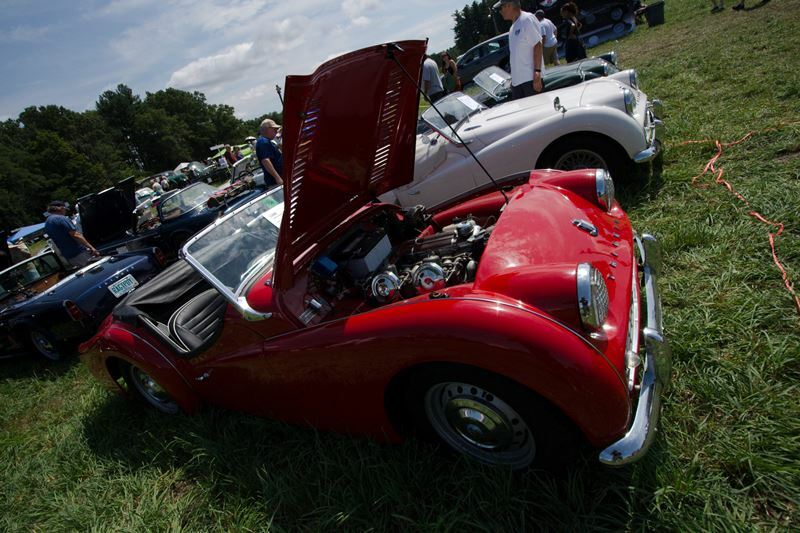 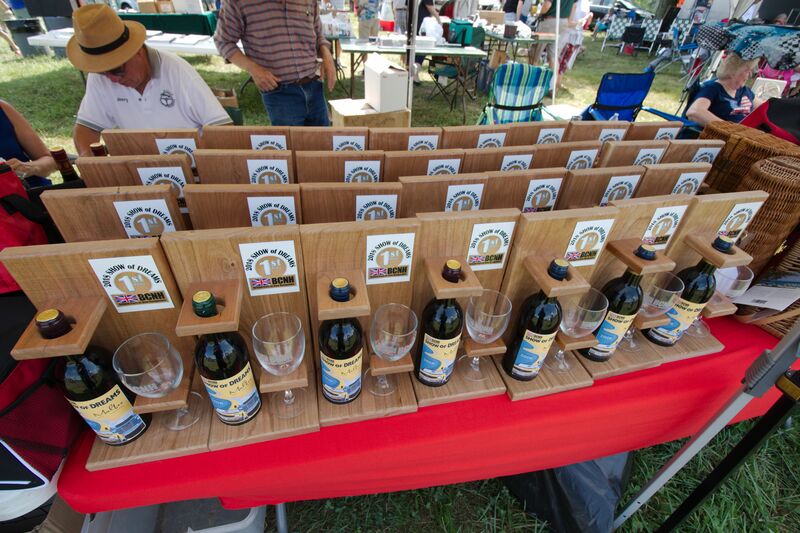 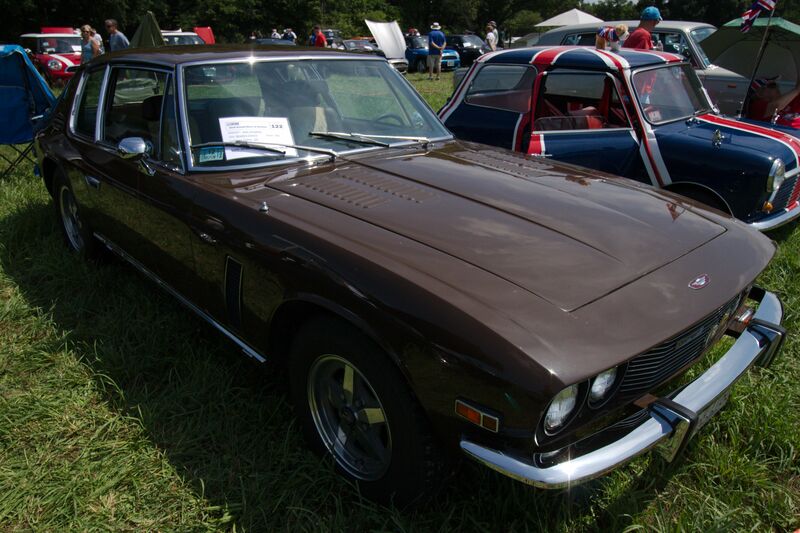 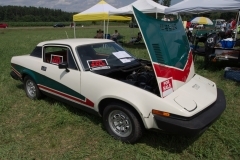 BCNH has held their British Car Show, now known as the “Show of Dreams,” every year since 1997. 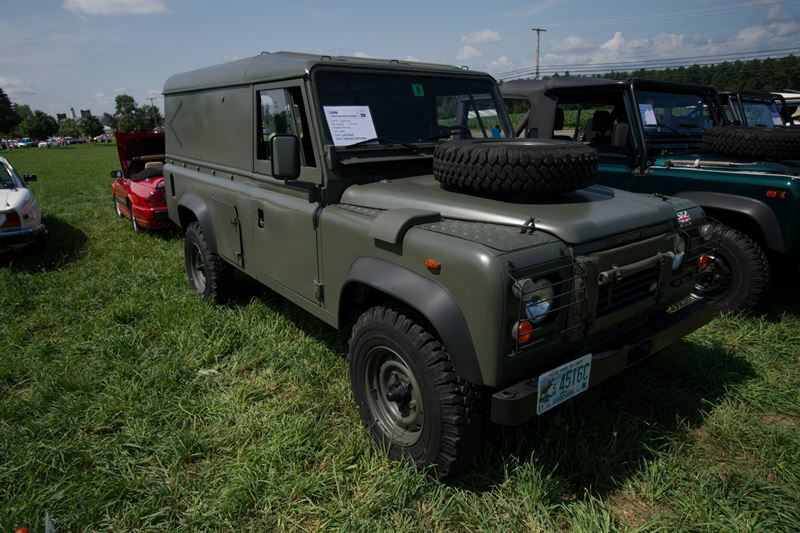 Walking through the tall grass that had grown rapidly because of all the recent rains, I saw some amazing British machines. I’ve never seen 5 TVRs in one place. 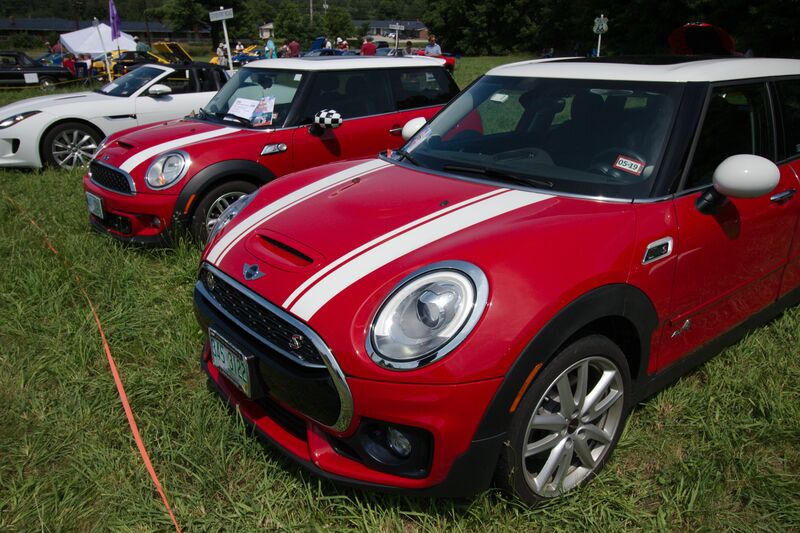 let alone of different models. At the “Show of Dreams,” you can and I did. 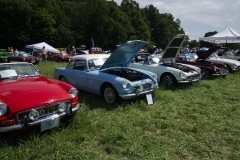 Many People showed up for this event and I even worried I might not be able to park as it was already pretty full by 10:30 but the friendly staff guided me to a perfect spot. 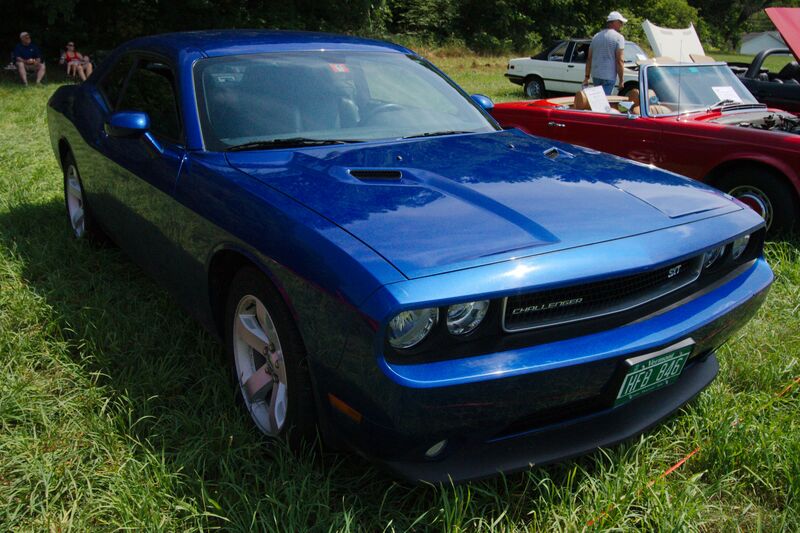 As I entered the main event it was a sea of people eagerly walking around and looking for their favorite vehicle. 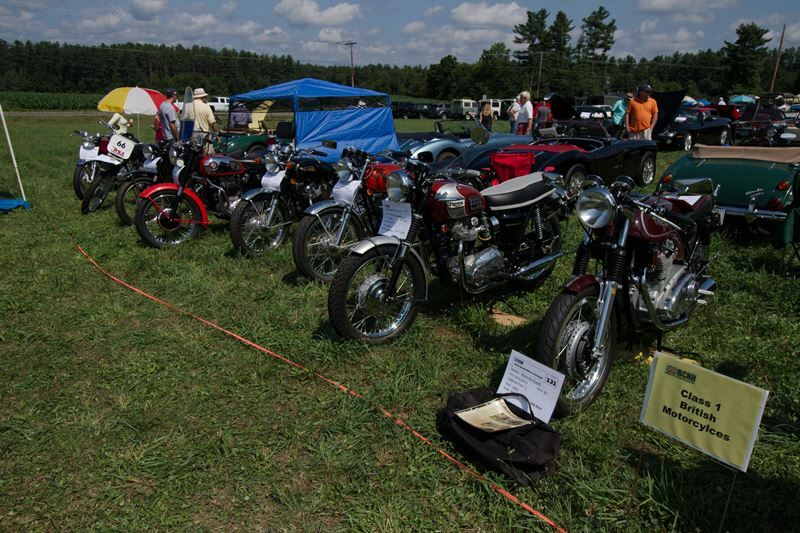 at the front, I was greeted by the site of a few British Motorcycles. Austin Healy’s have always been a treat for me and I was instantly taken by this gorgeous green and white baby. 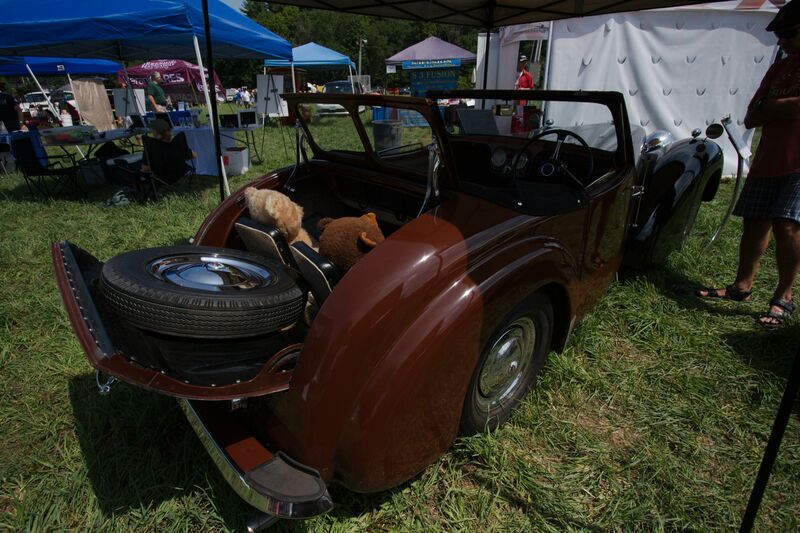 Wire Spoke wheels just suit this car perfectly. And then I turned around and walked and was instantly nose to nose with a row of Jaguars. You could pick your favorite color while many favor the “British racing Greens” I got lost in the Candied red paint off this convertable. A full row of XJ’s were a perfect shot to choose for our fetured image above. 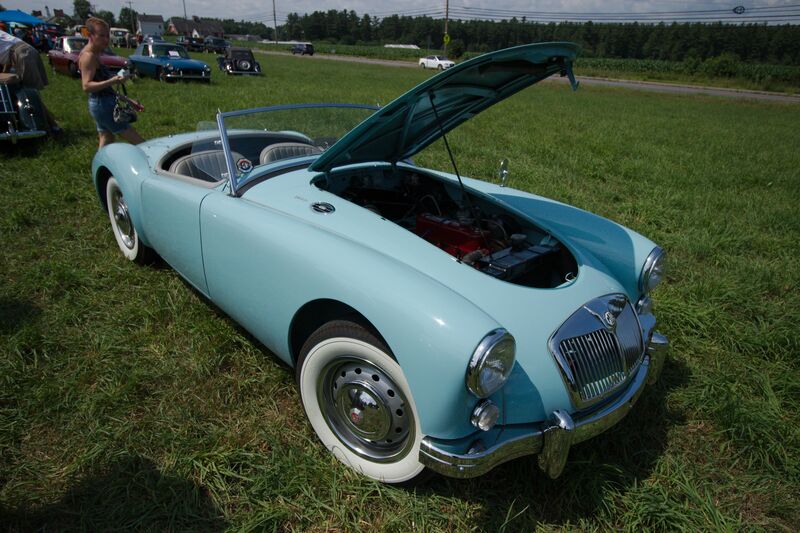 I was taken with this beautiful 1951 MG. 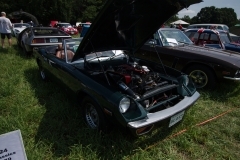 The owner was gracious enough to shut the hood so I could get this stunning shot that captures how perfect this machine was. and then you could look around and see just like the Jaguars, you could look at any MG you wanted in any of your favorite colors. 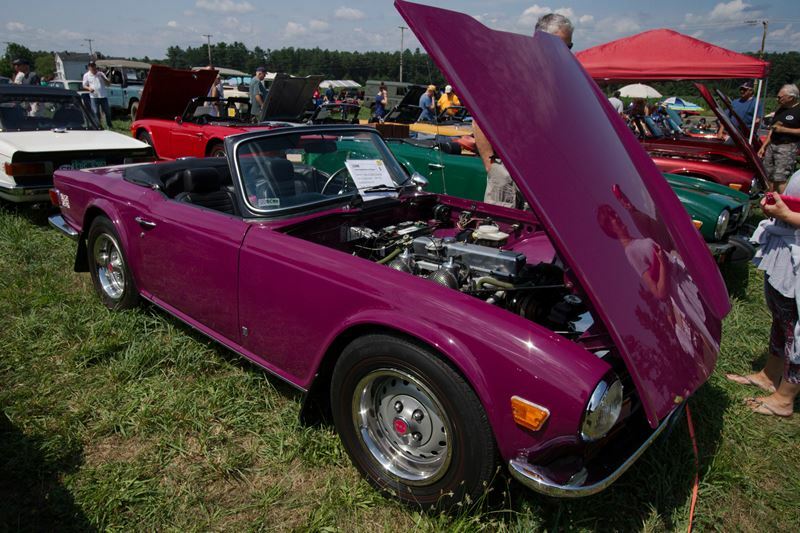 From Whit to black and every ROYGBIV, or Red to Violette color. 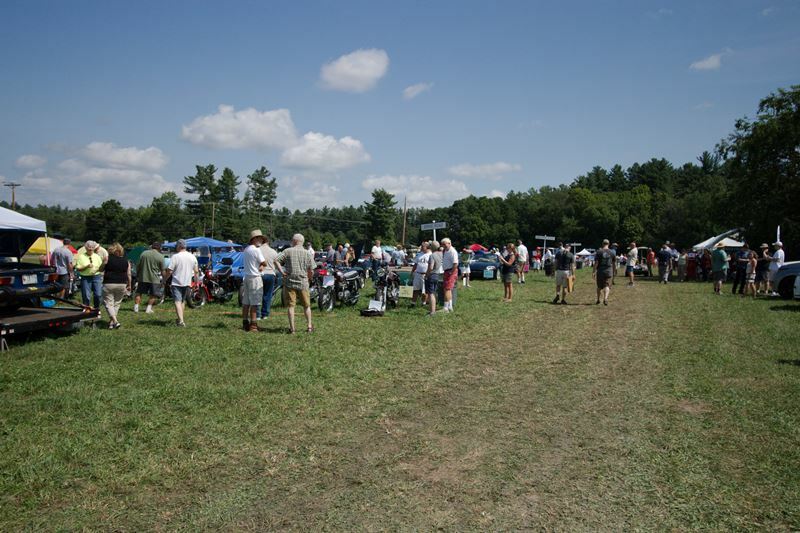 In the organizers of BCNH now have a large section that all you folks with American, German, Italian, and whatever else, should come and occupy next year. 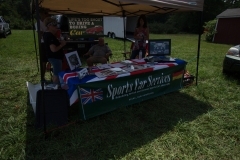 The venue has food and a DJ and it’s a very nice atmosphere. 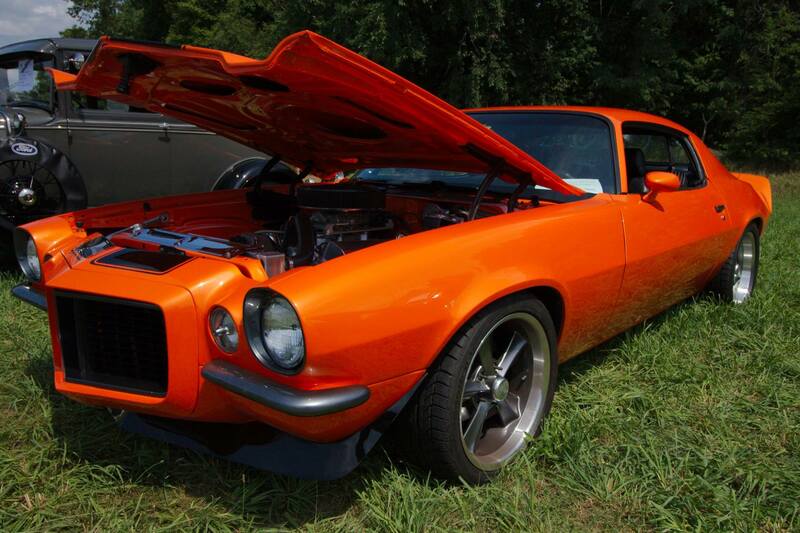 There were a few cars there ranging from BMW’s and this gorgeous Early 70’s Camaro, and numerous other machines. 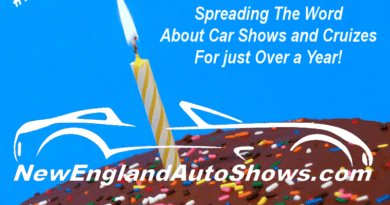 ← 1 Year ago we Launched!